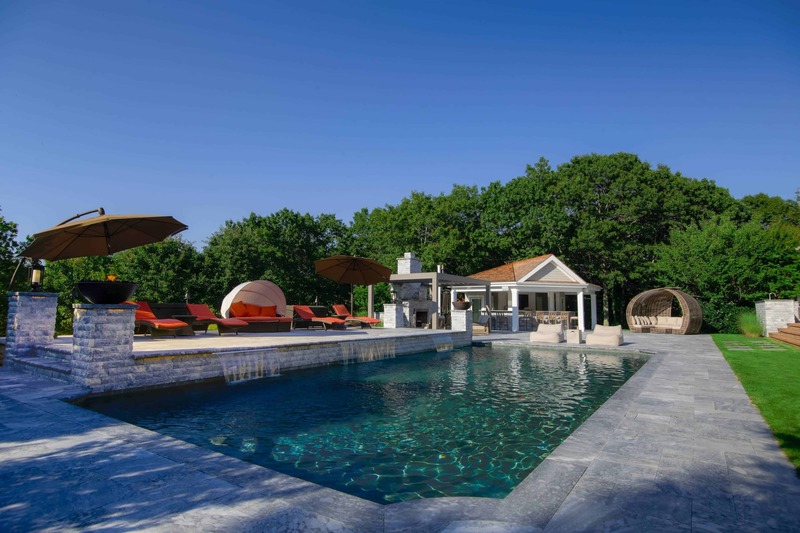 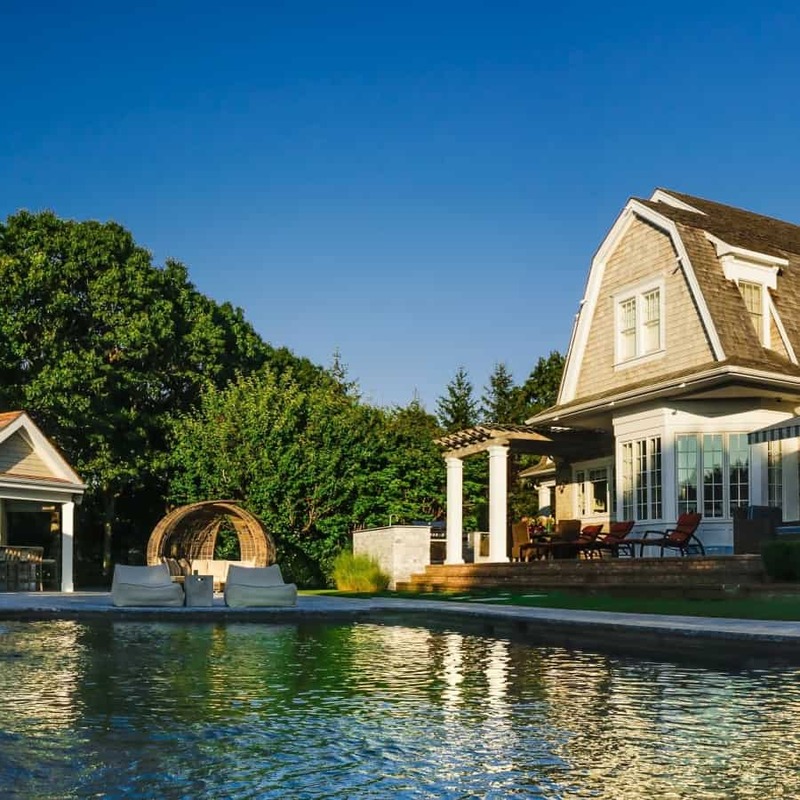 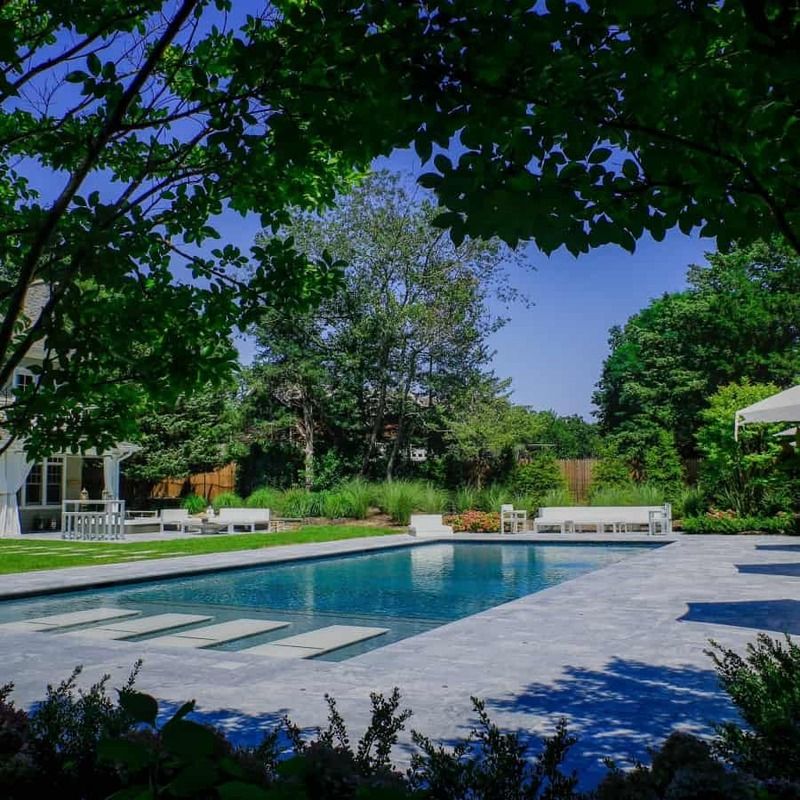 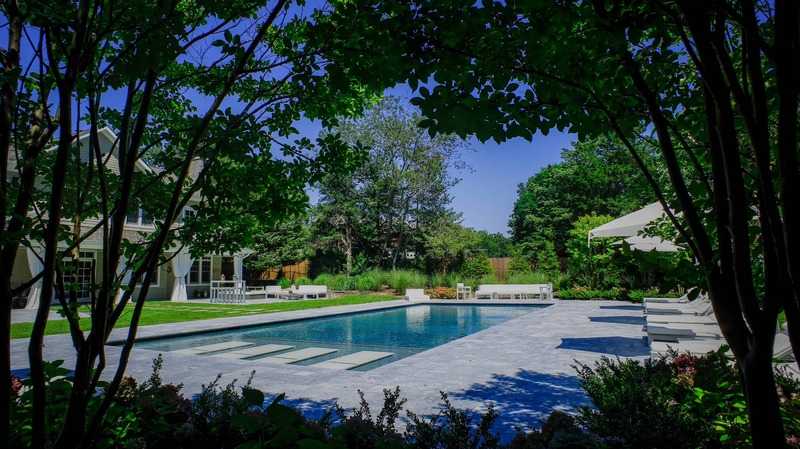 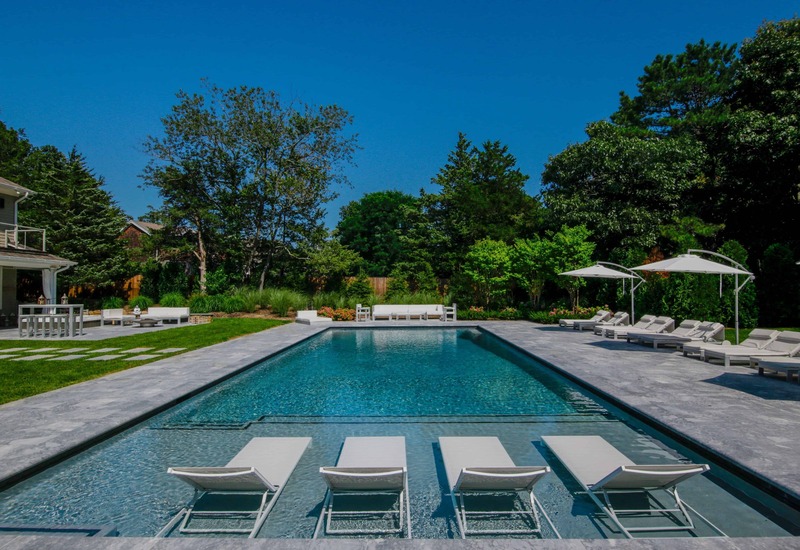 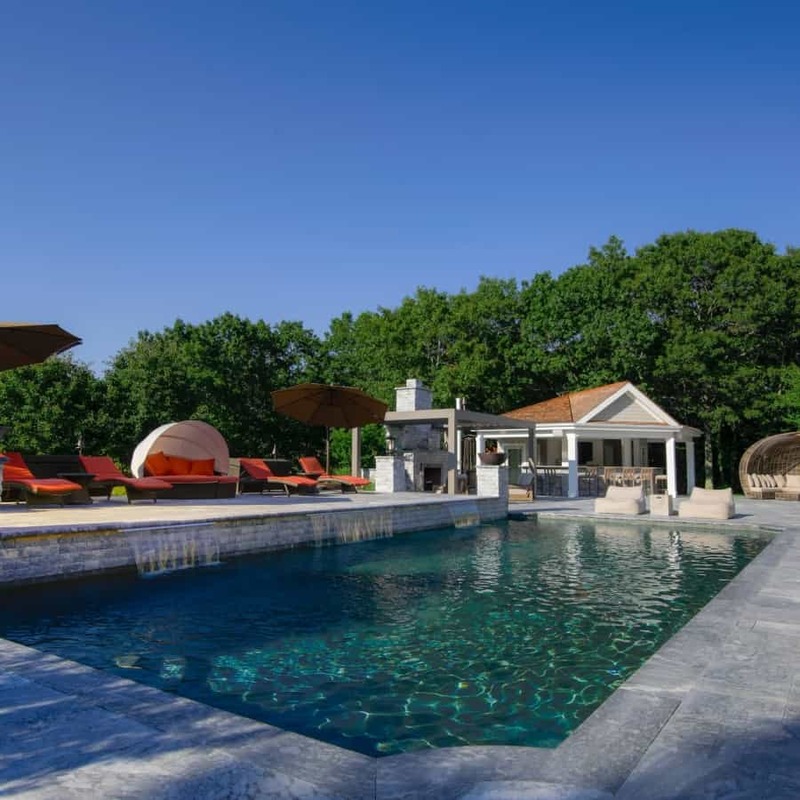 Green Island Design’s signature custom-built Gunite Pools are the ultimate visual experience, as well as the perfect oasis to relax and stimulate the senses. 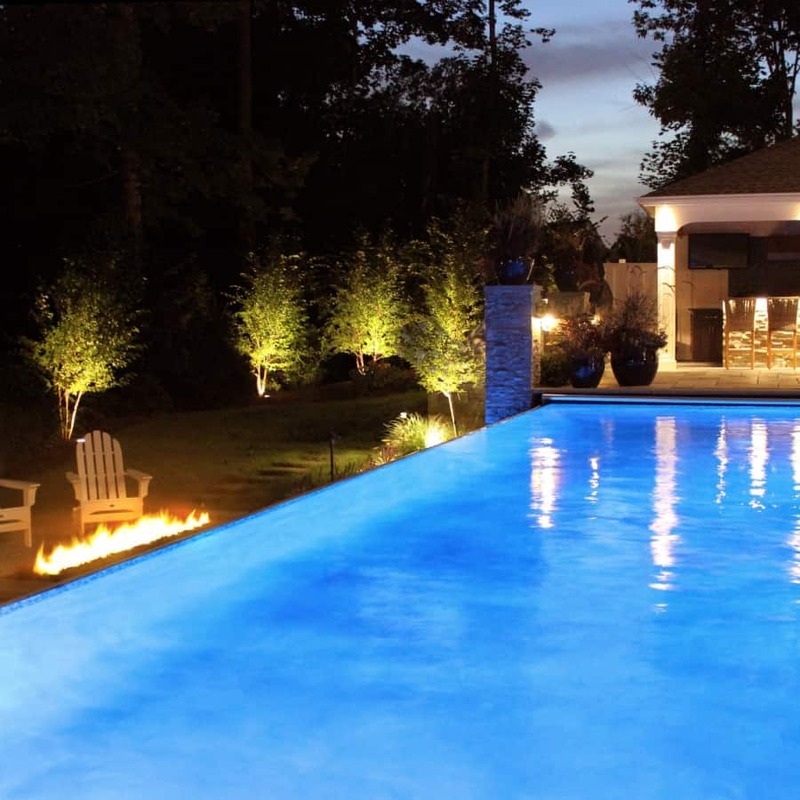 There is nothing quite like seeing a breathtaking pool surrounded by the elements of a perfectly planned and realized backyard. 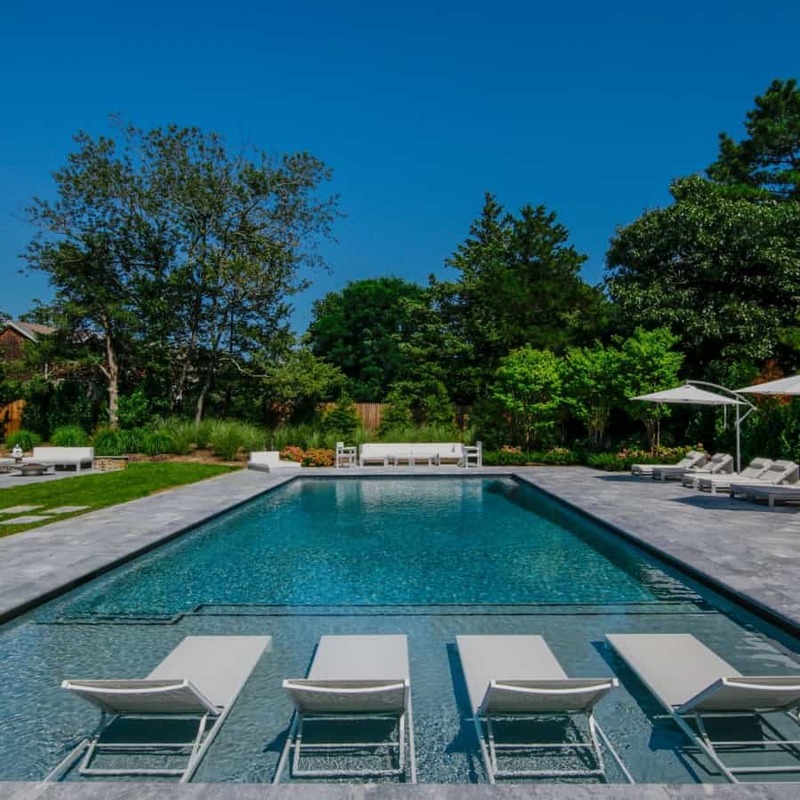 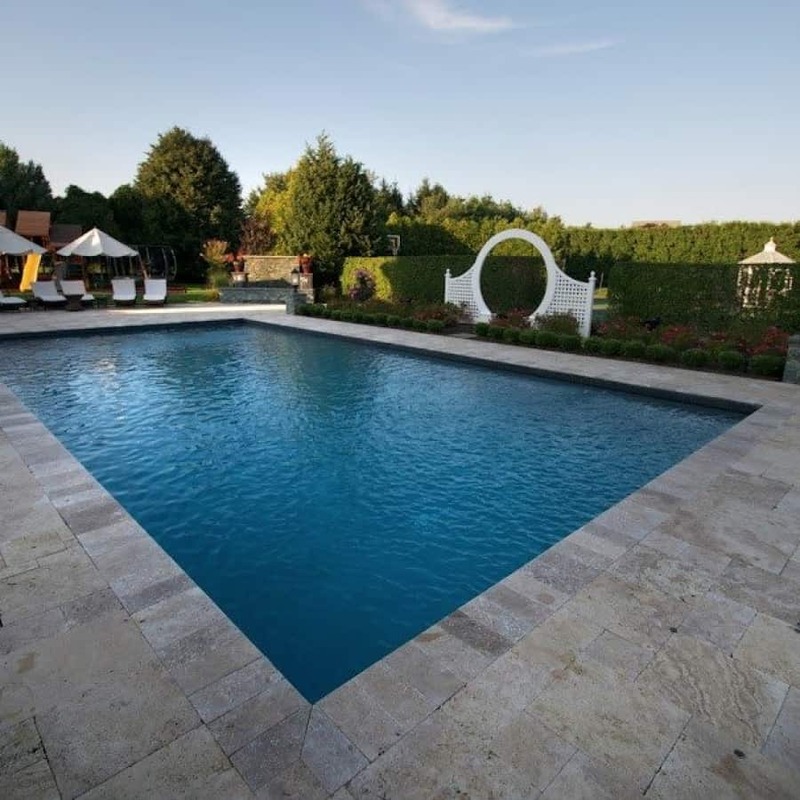 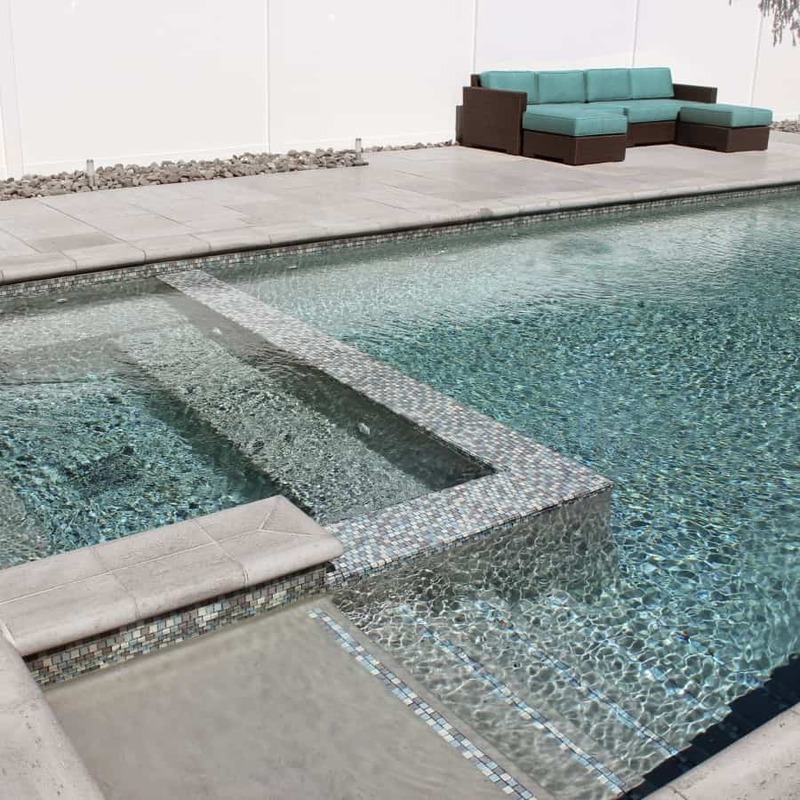 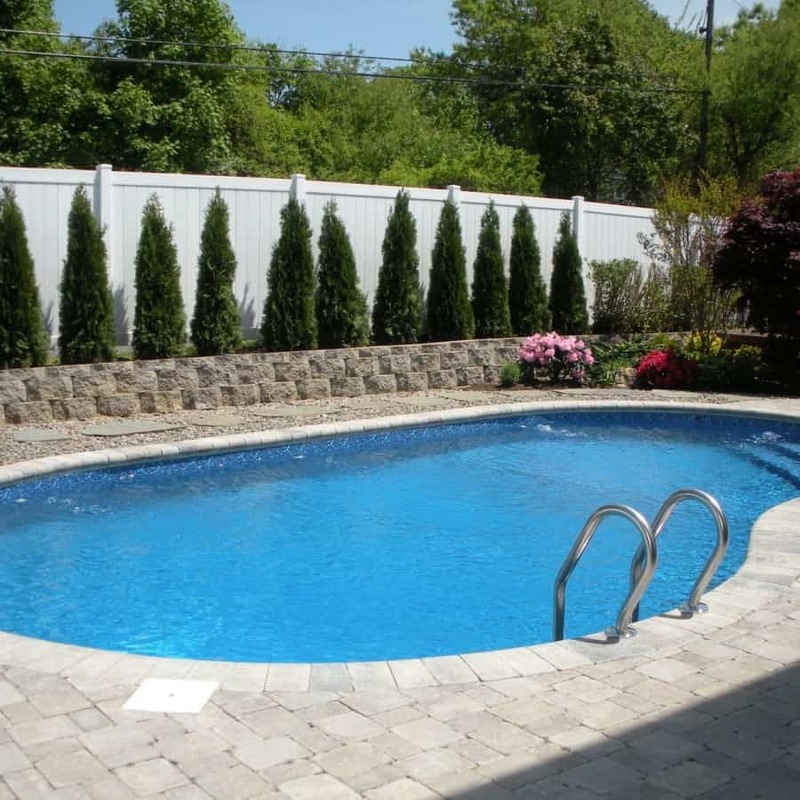 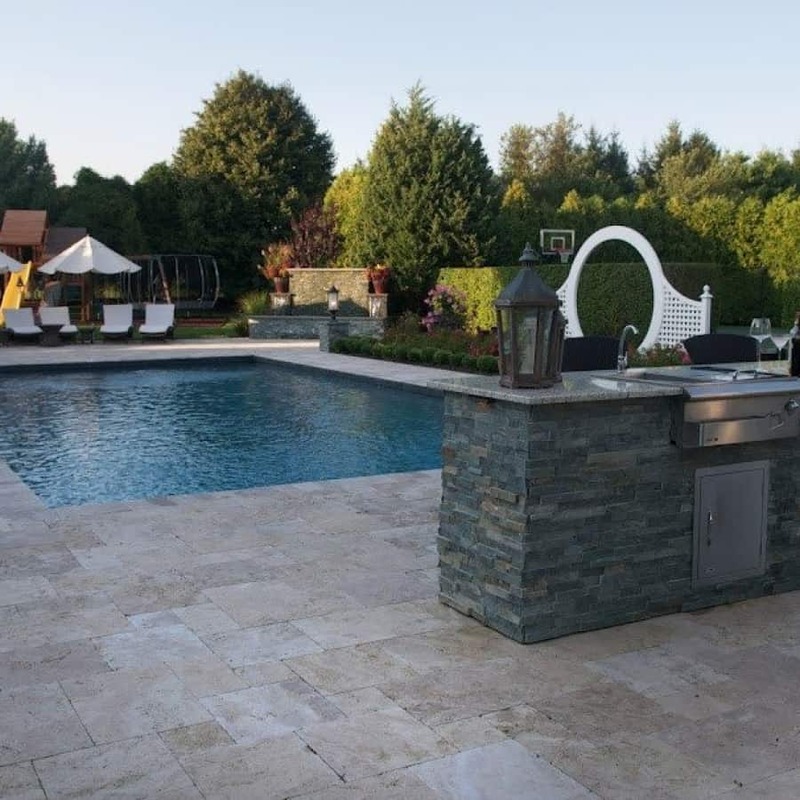 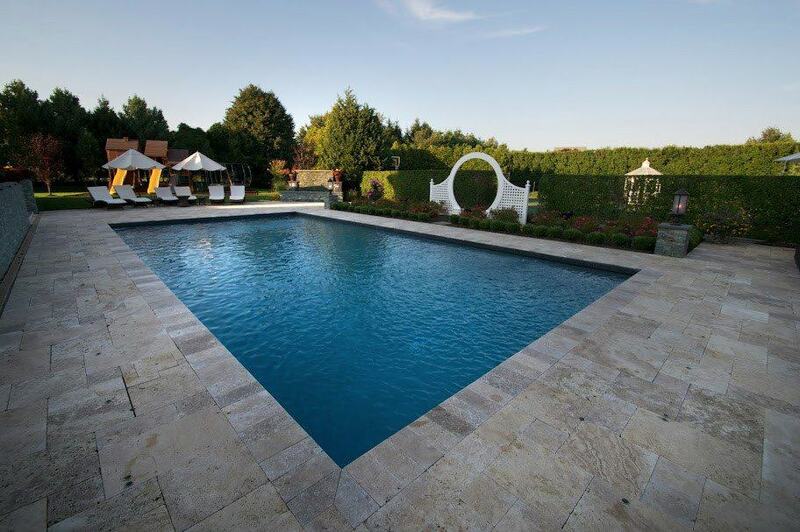 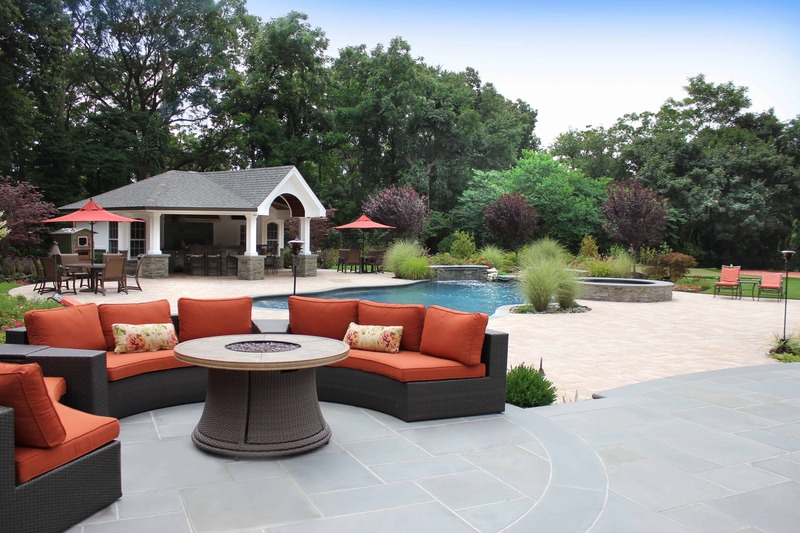 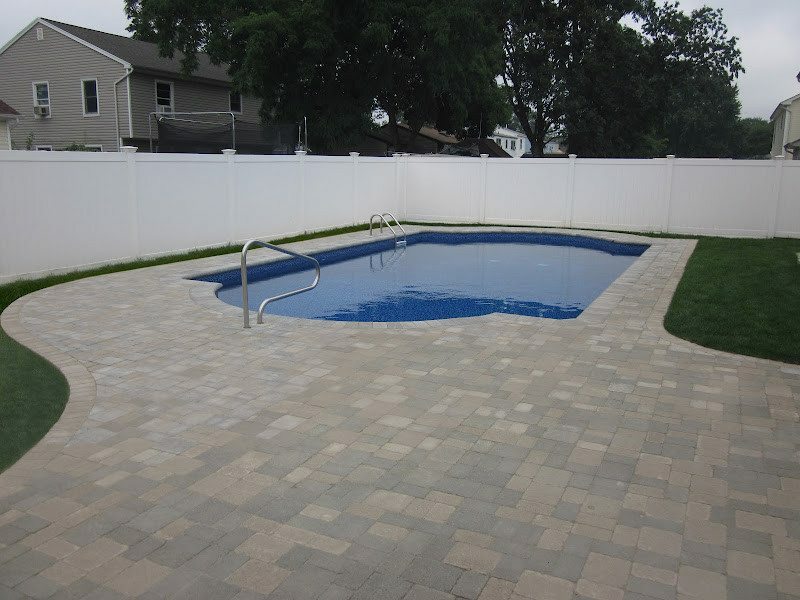 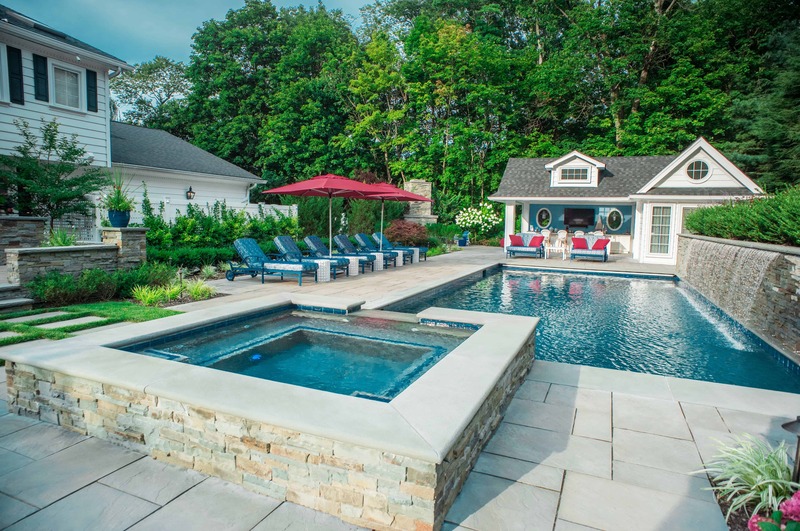 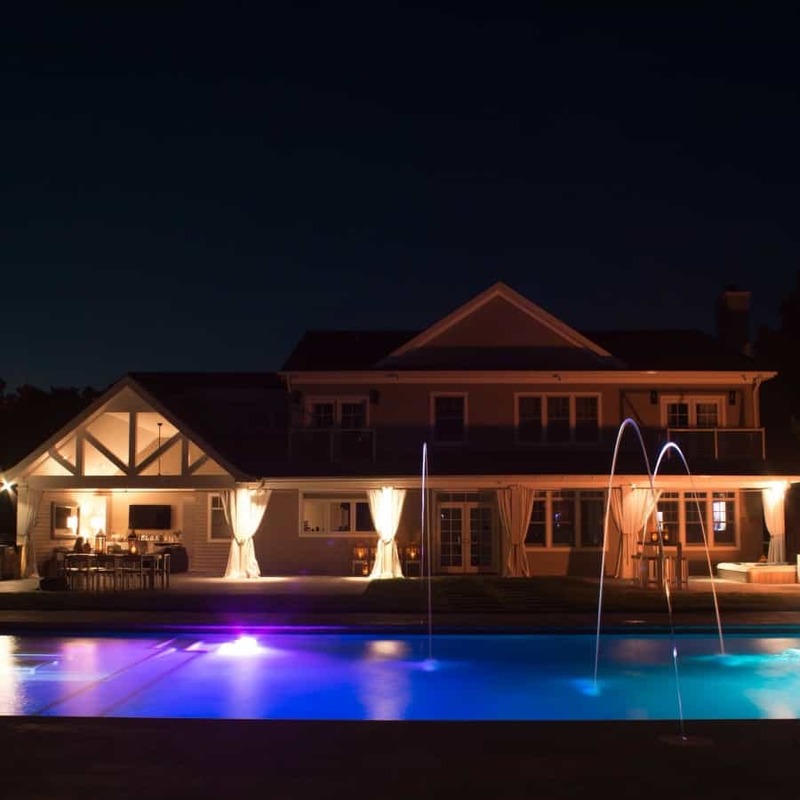 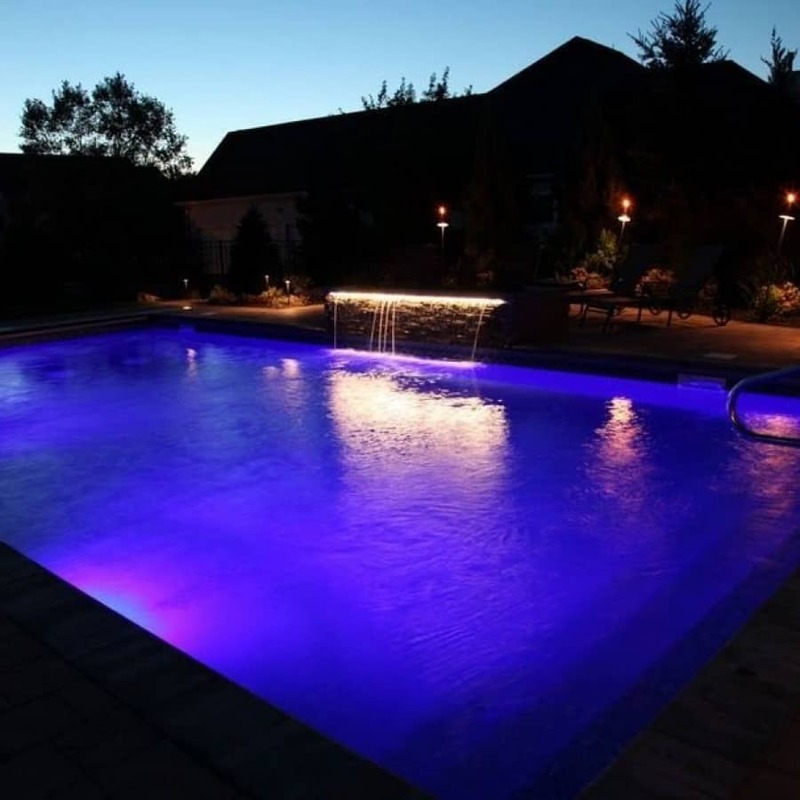 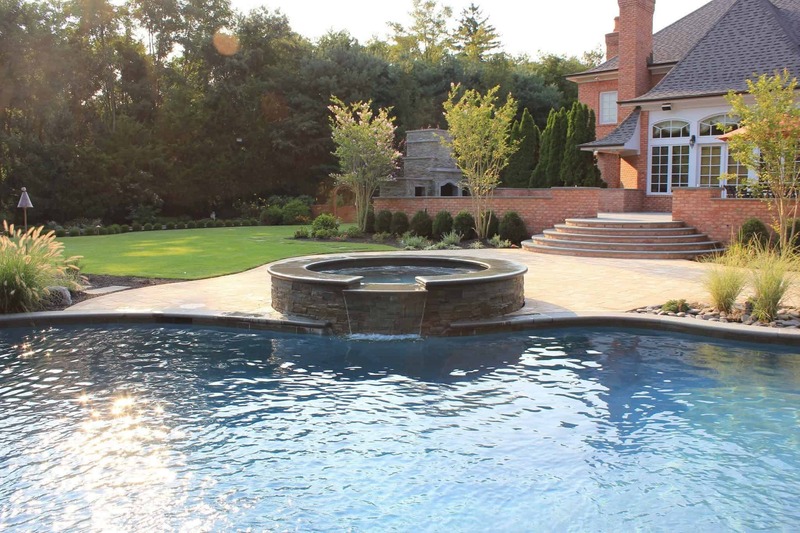 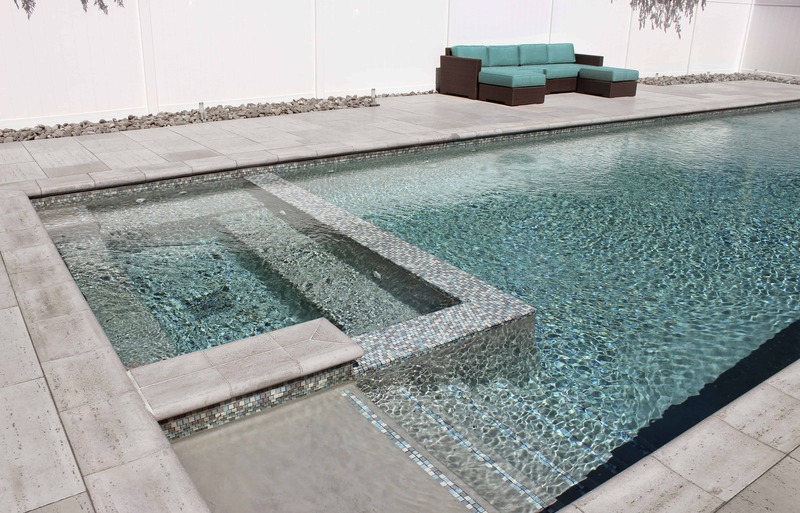 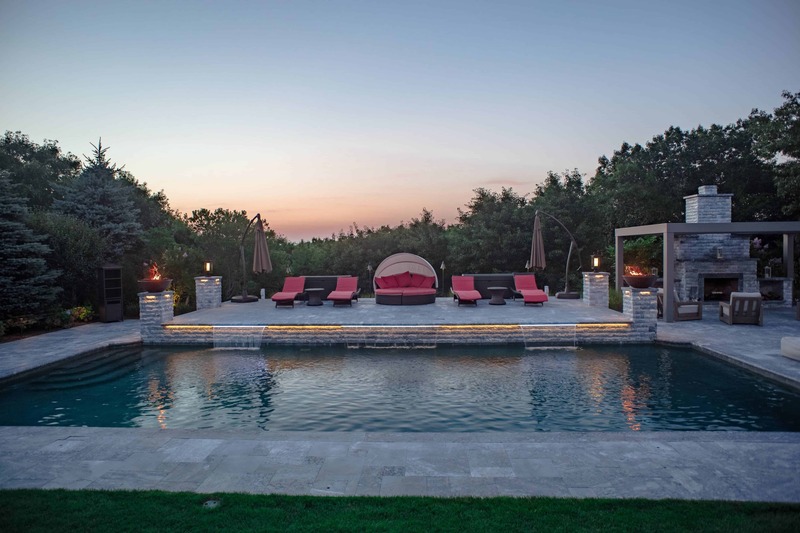 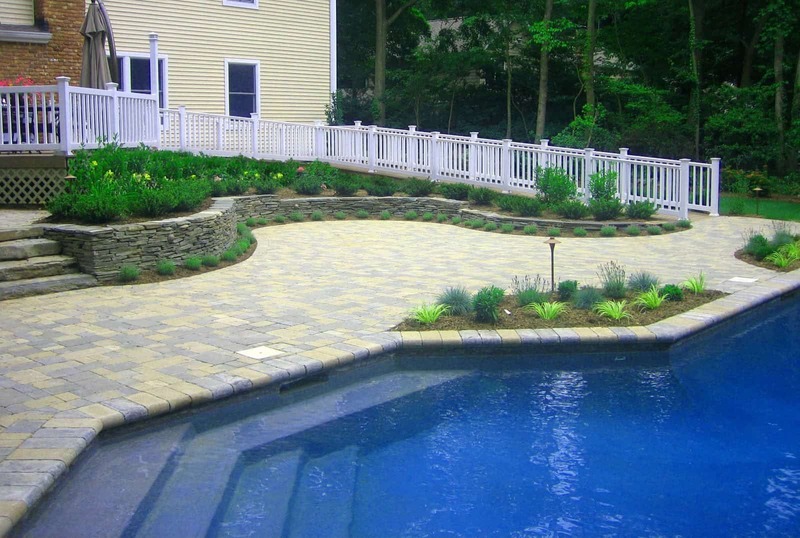 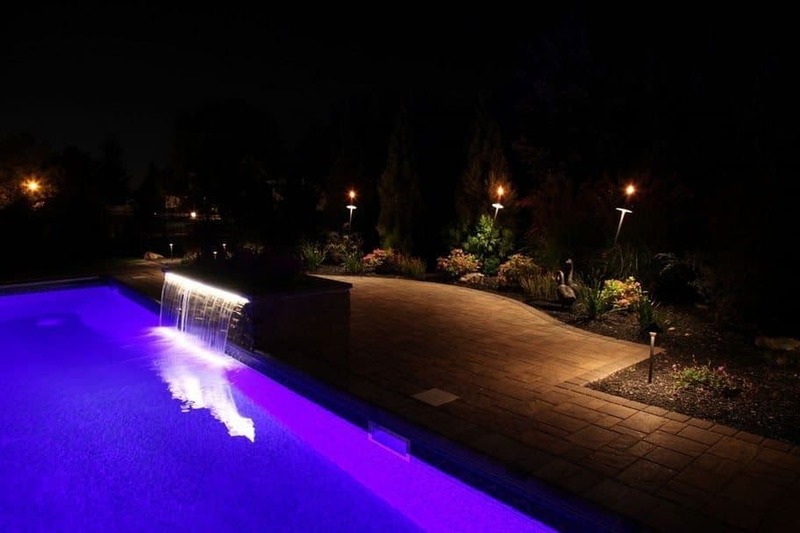 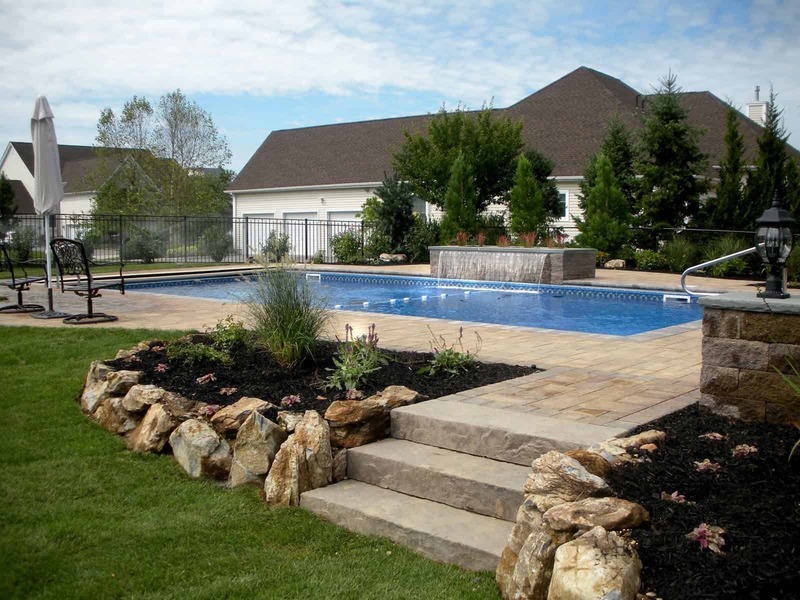 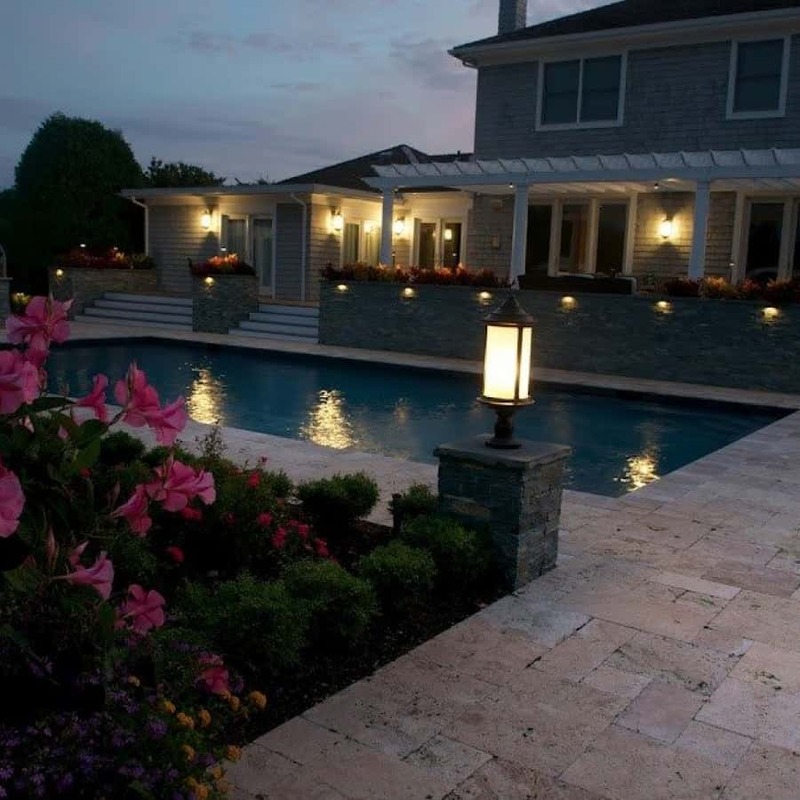 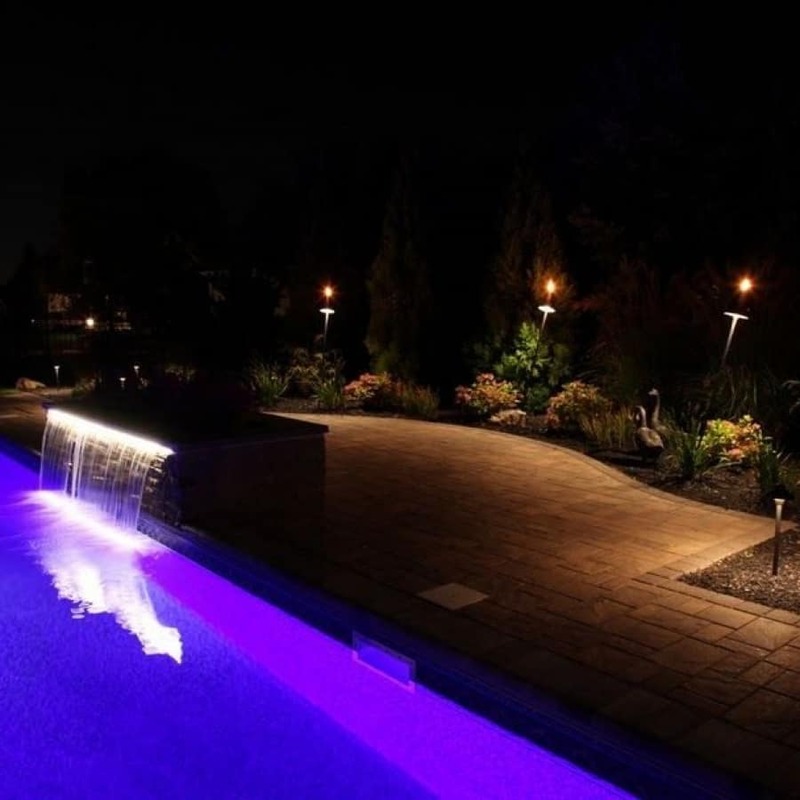 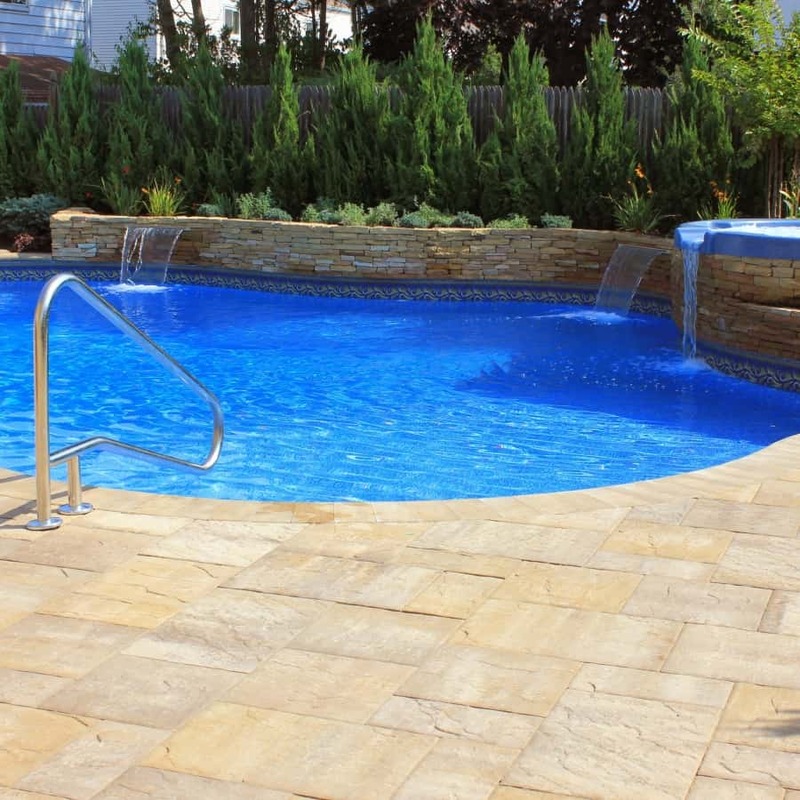 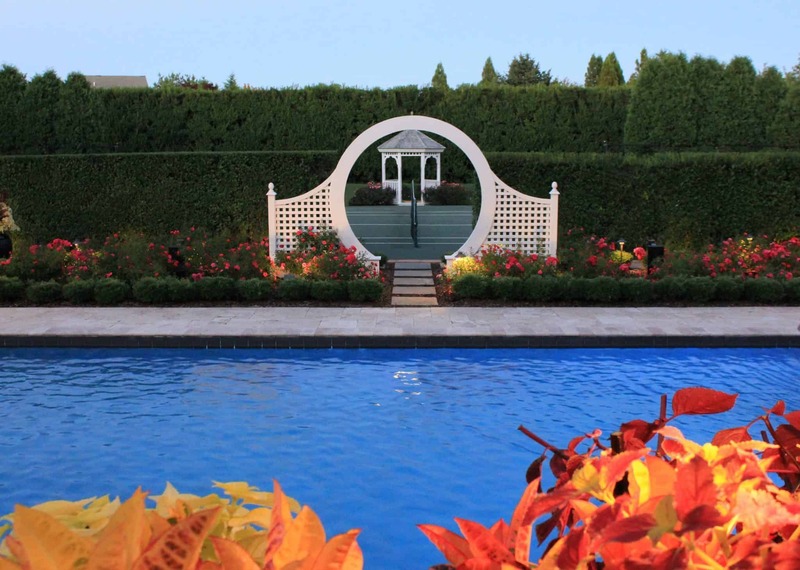 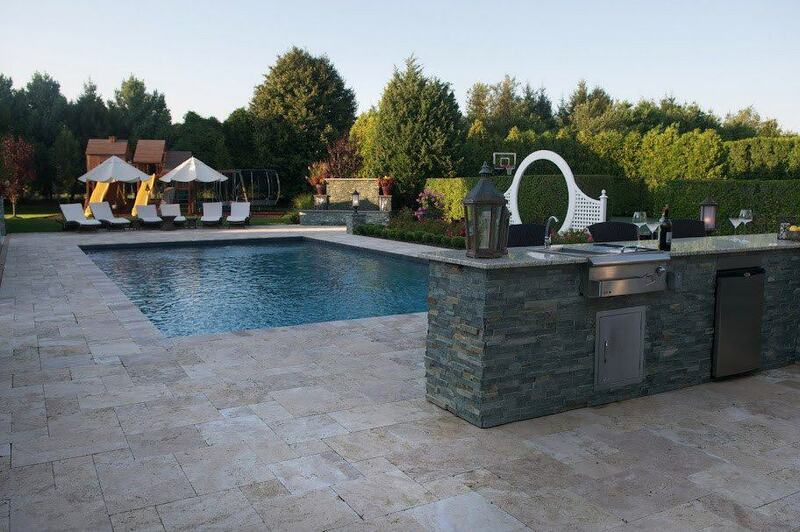 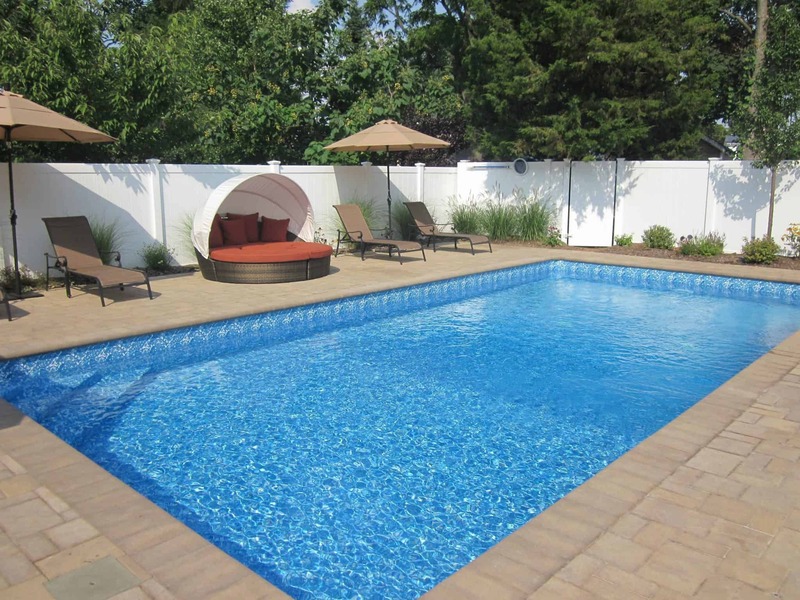 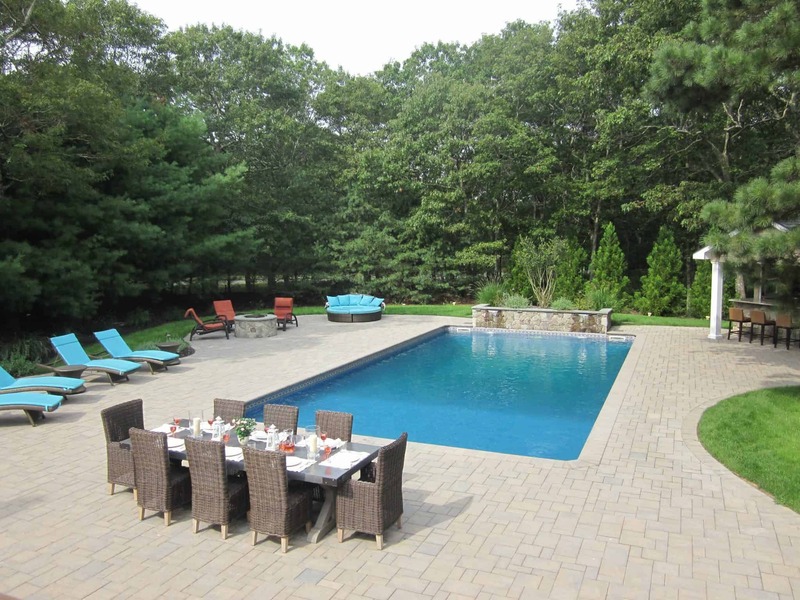 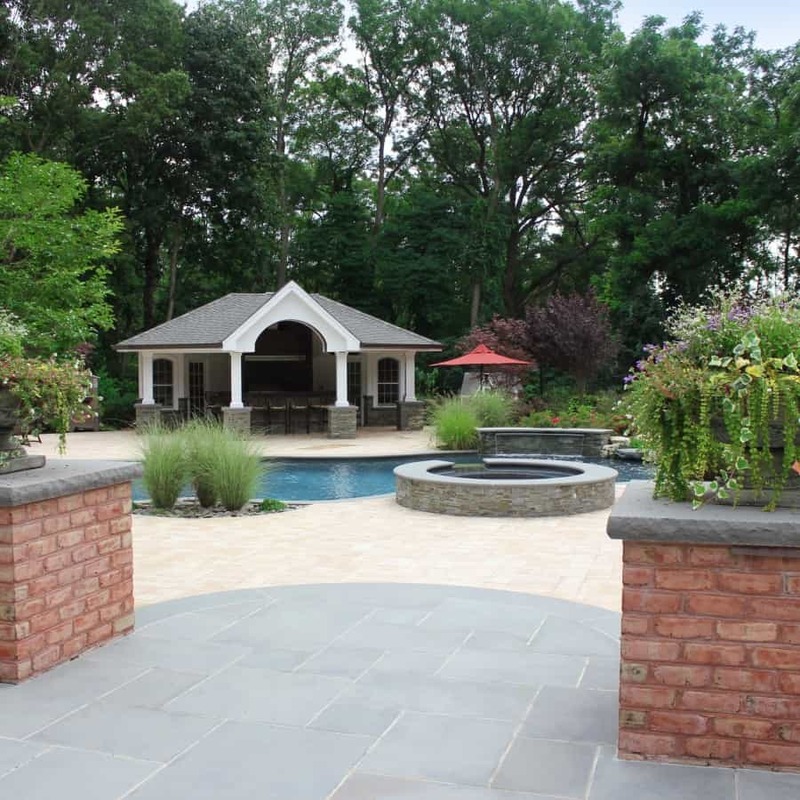 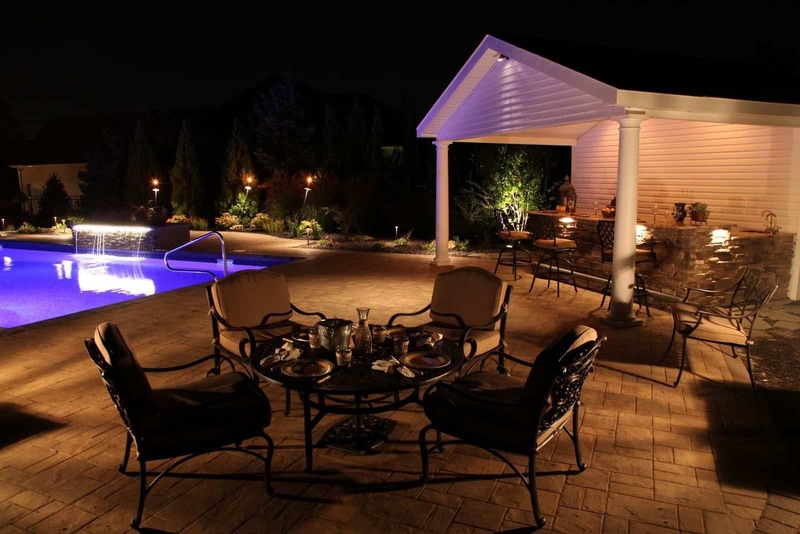 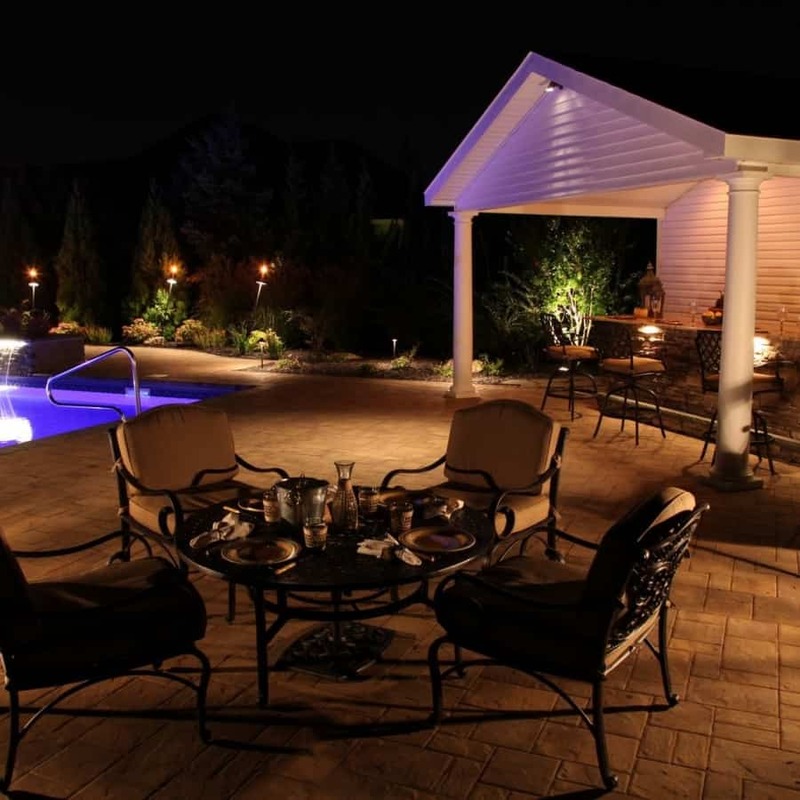 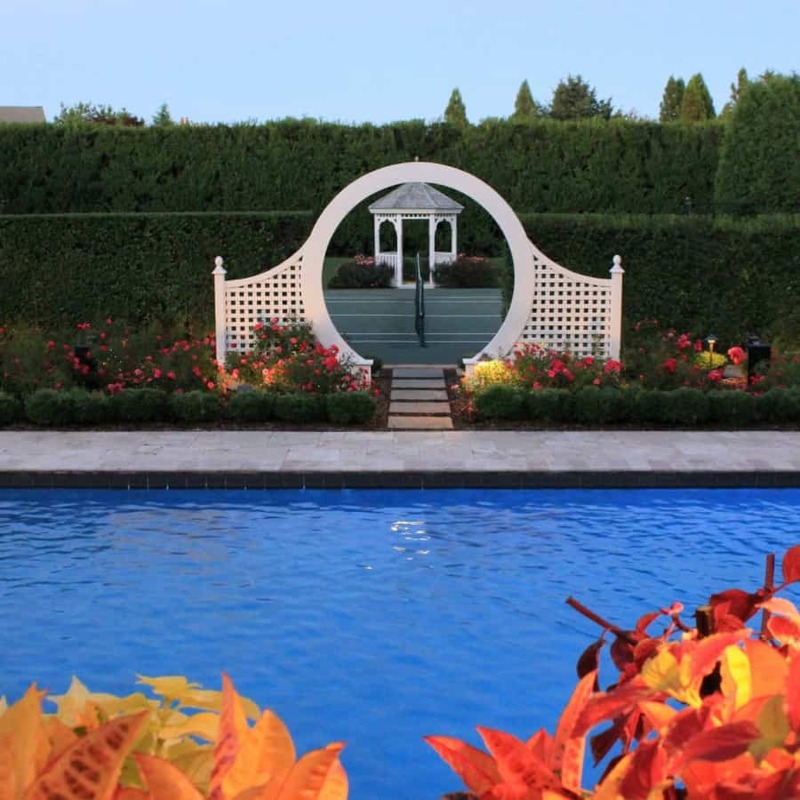 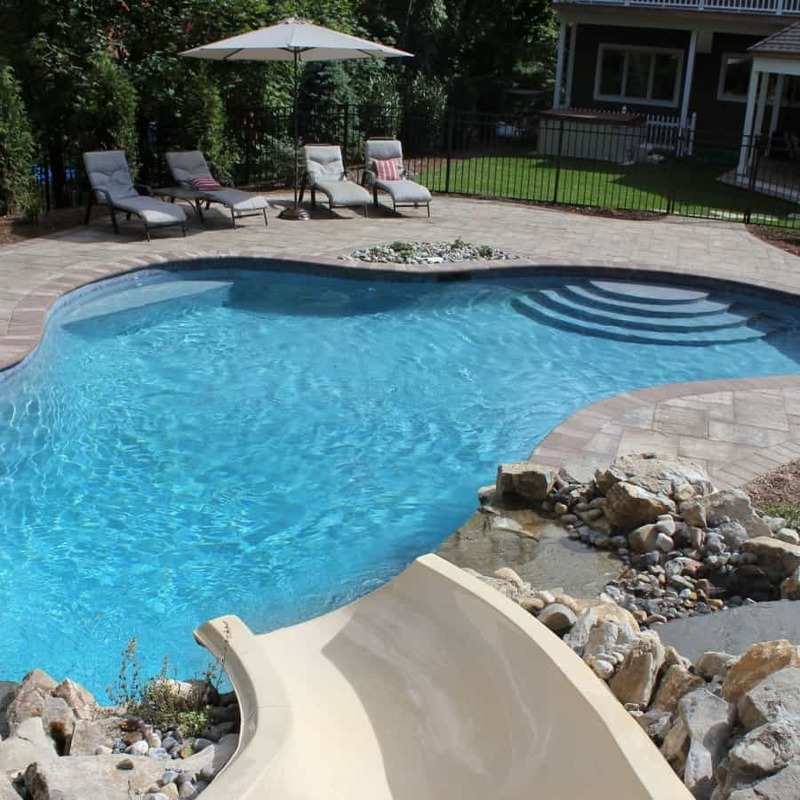 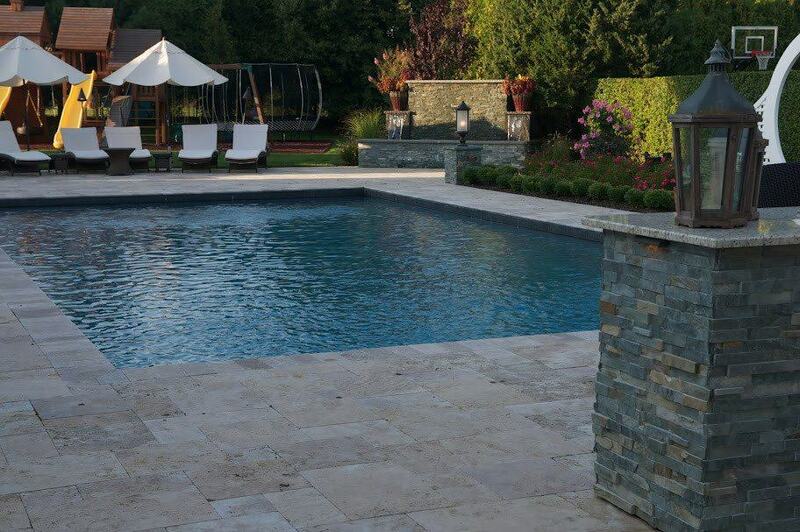 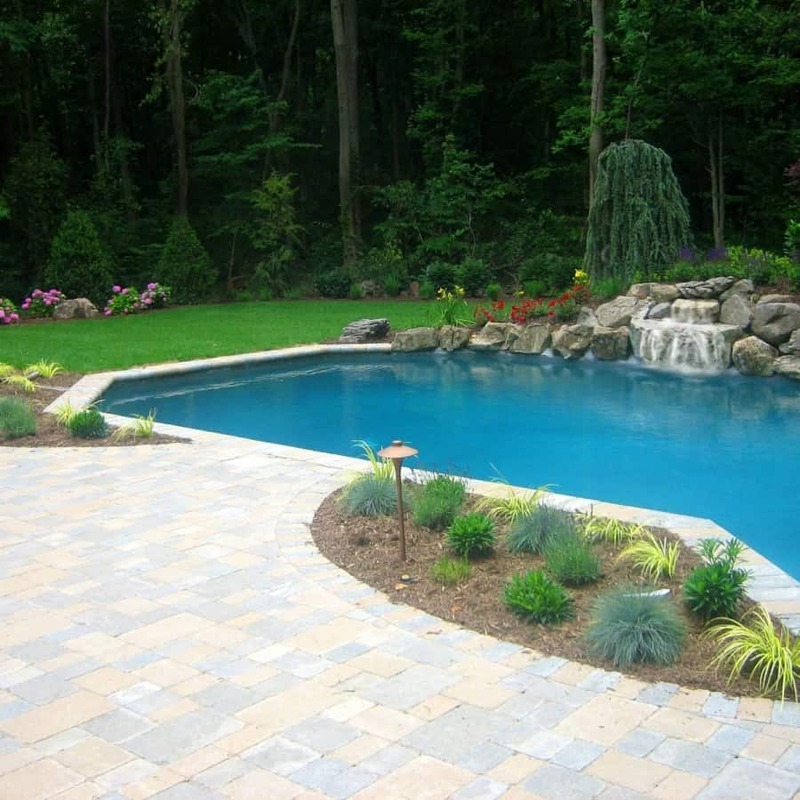 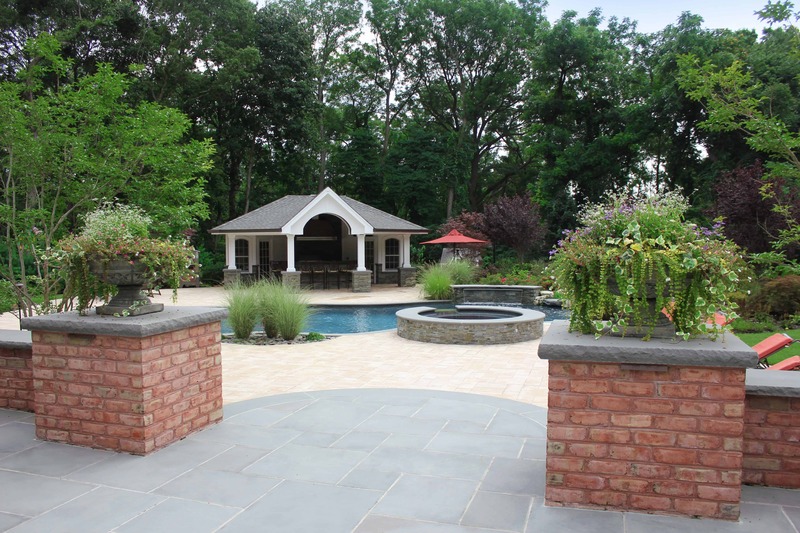 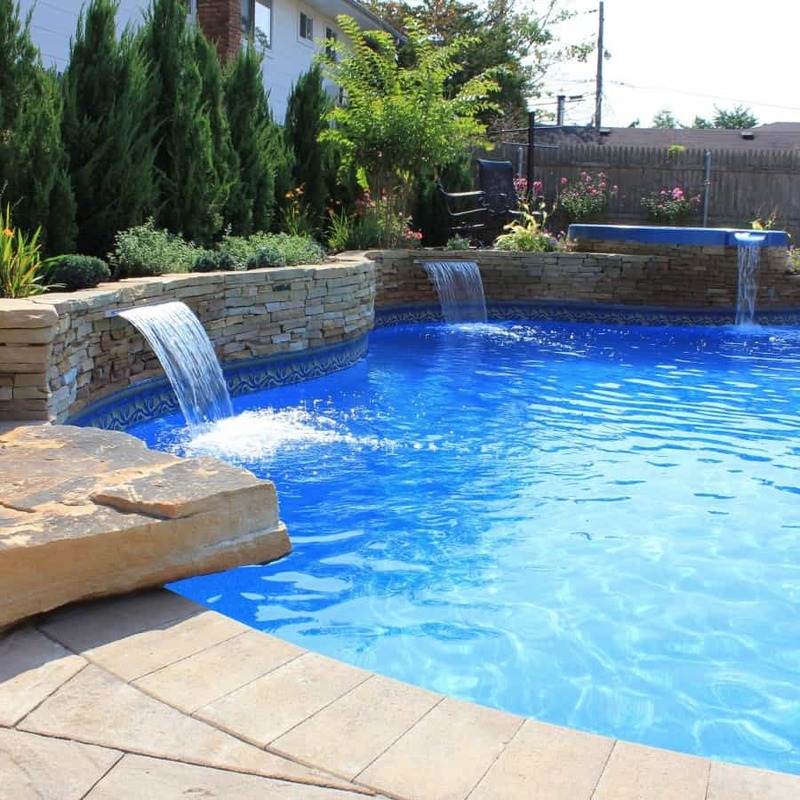 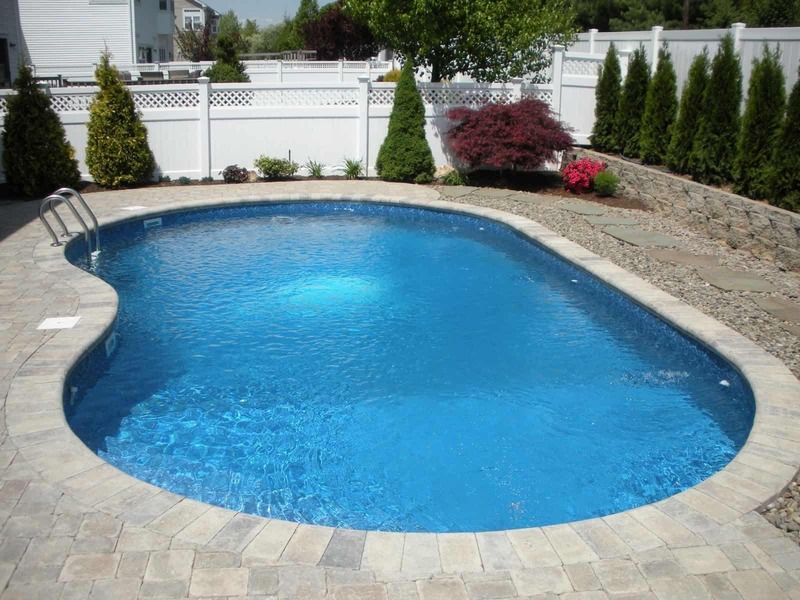 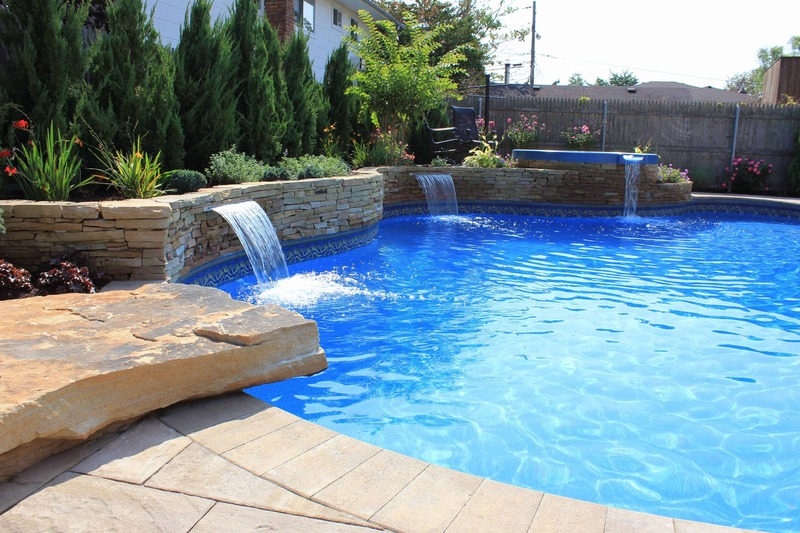 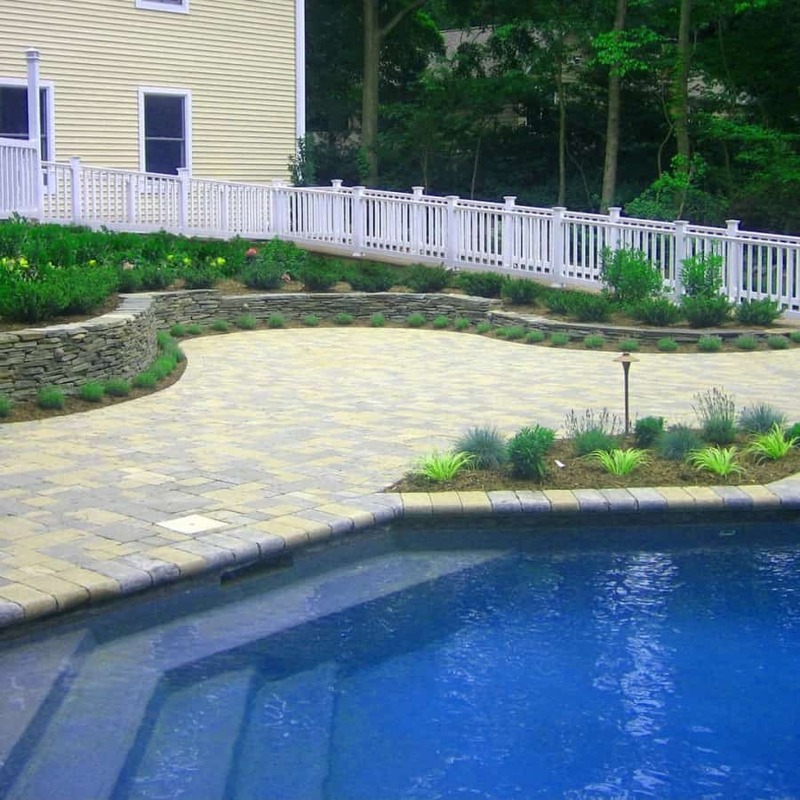 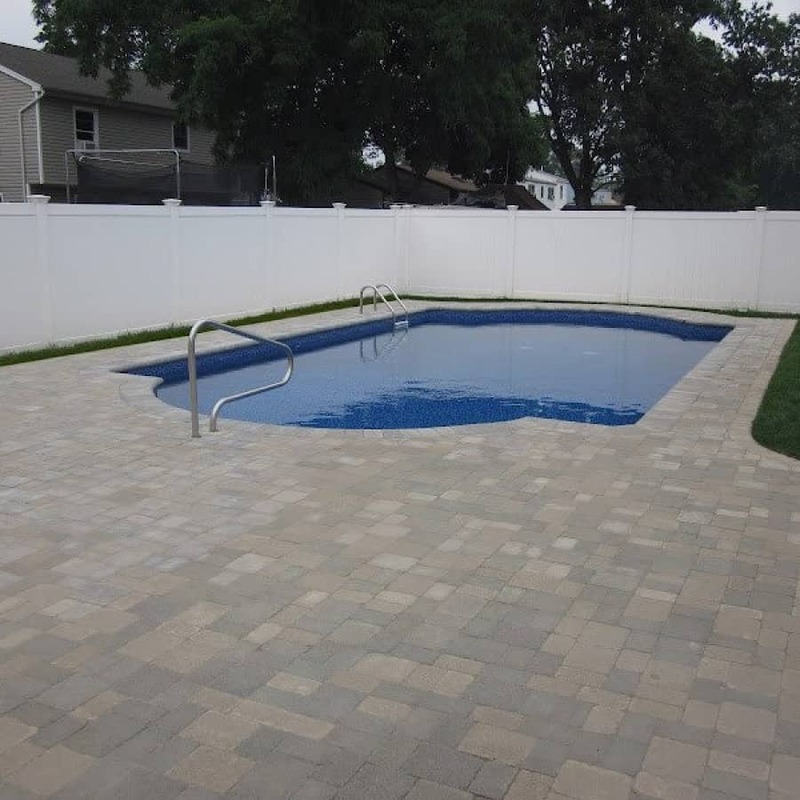 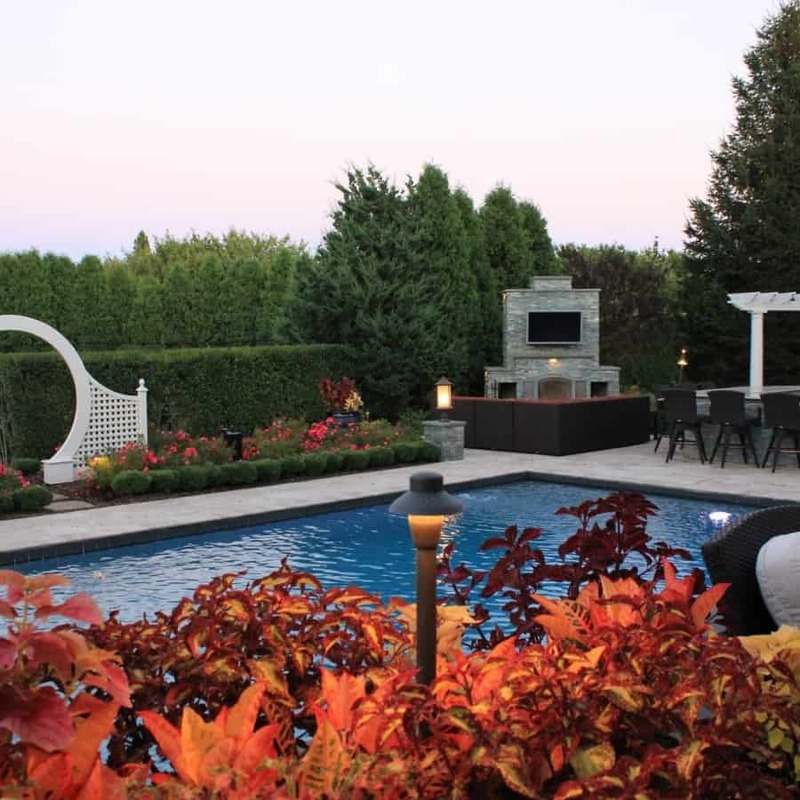 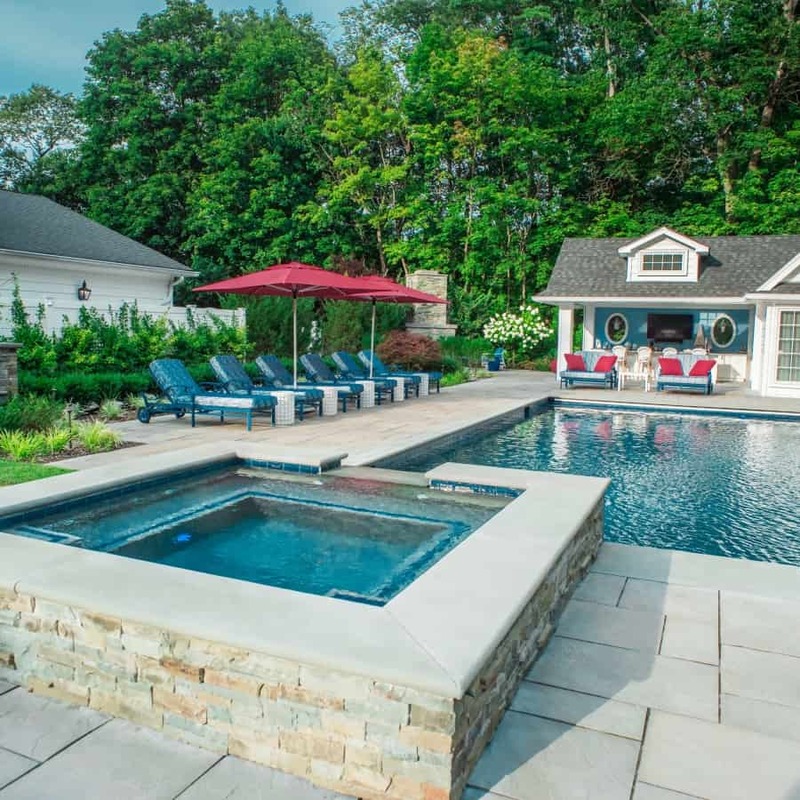 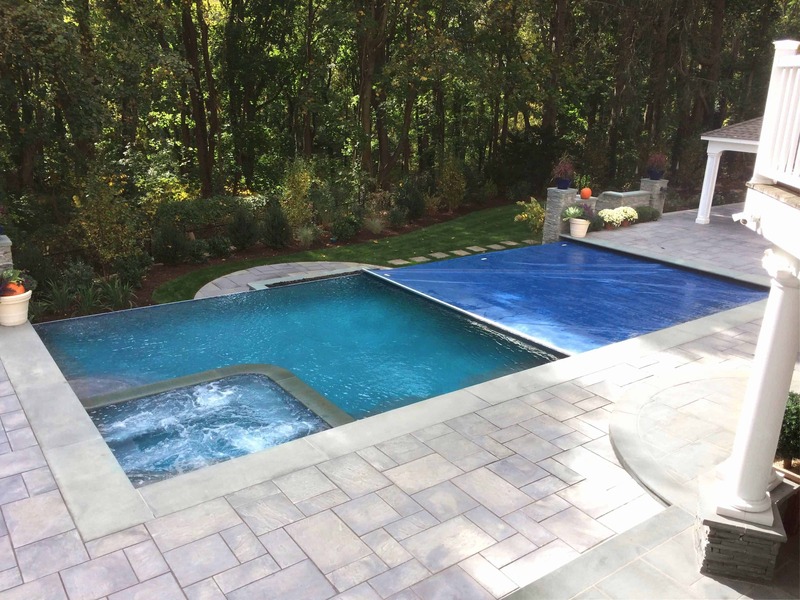 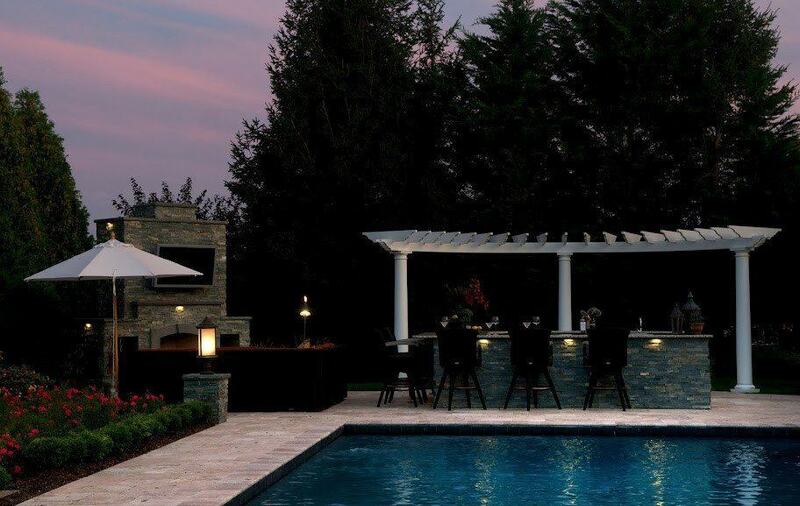 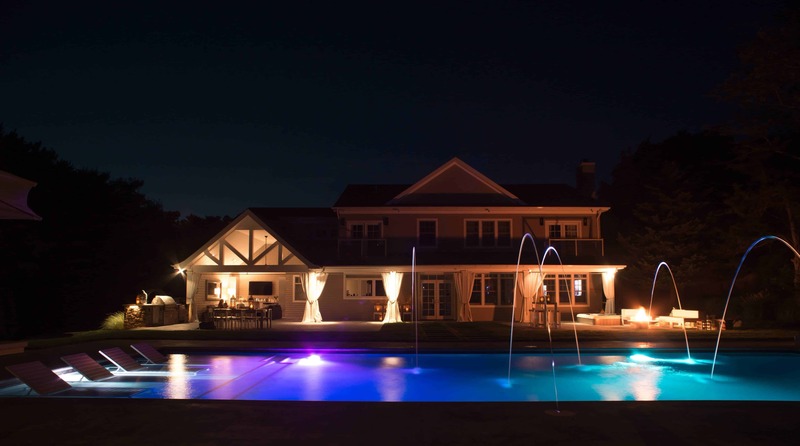 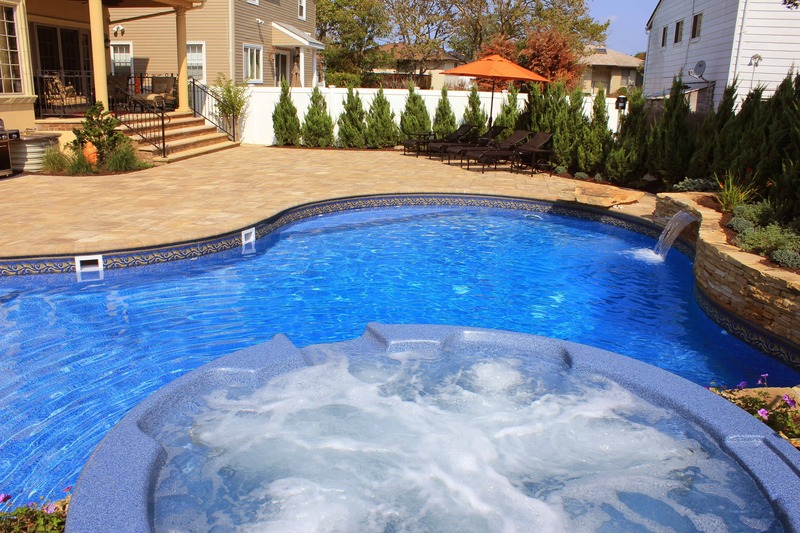 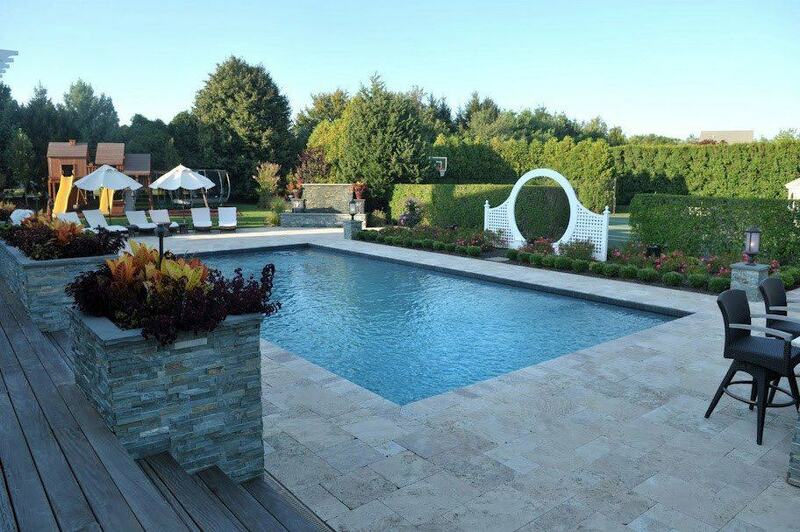 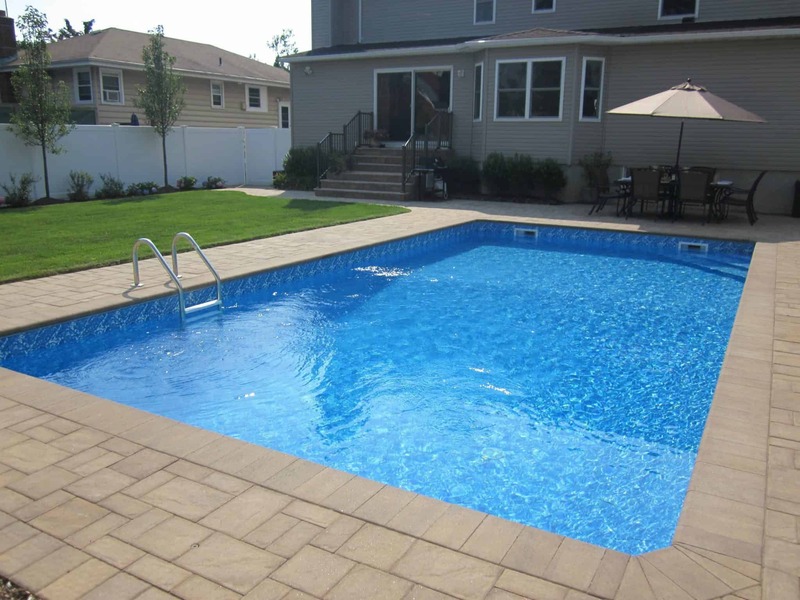 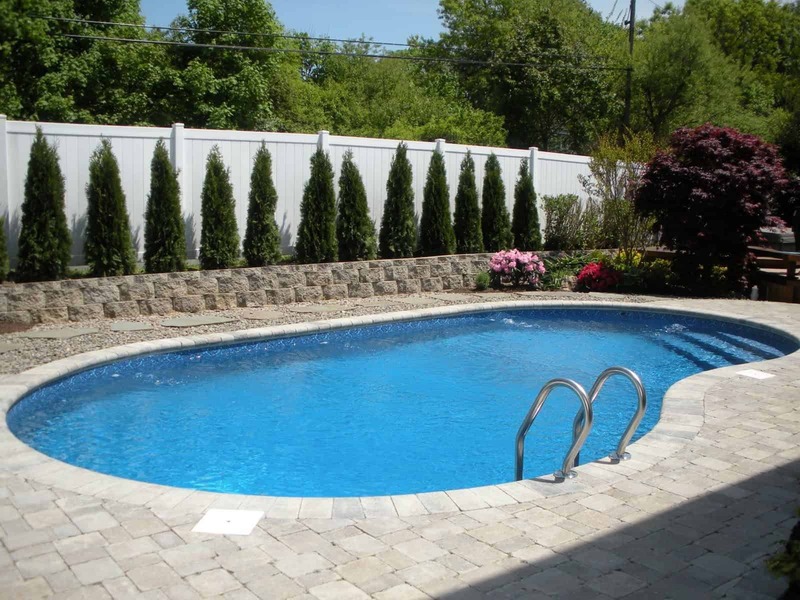 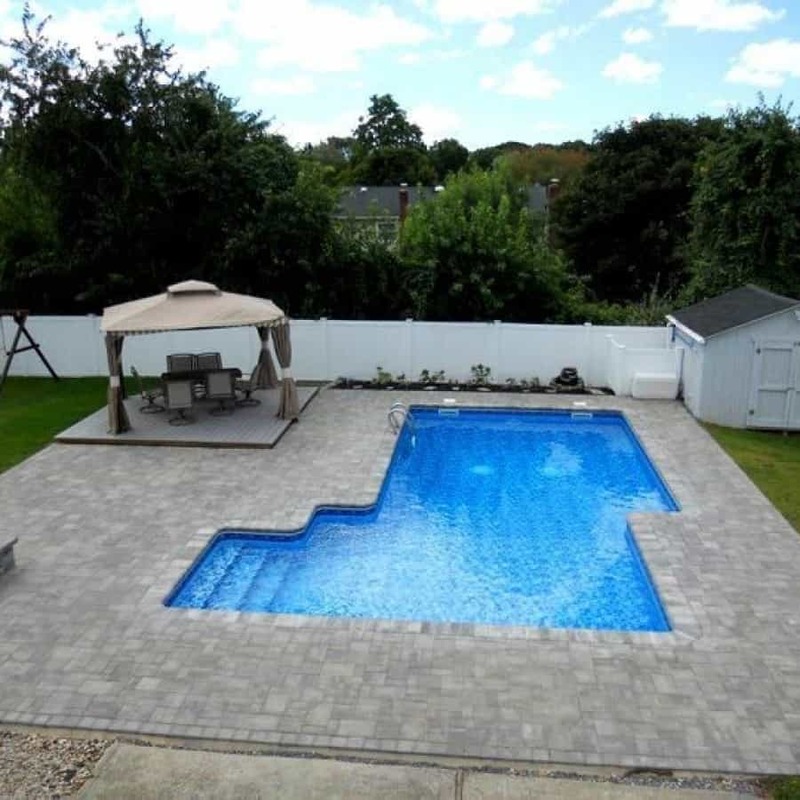 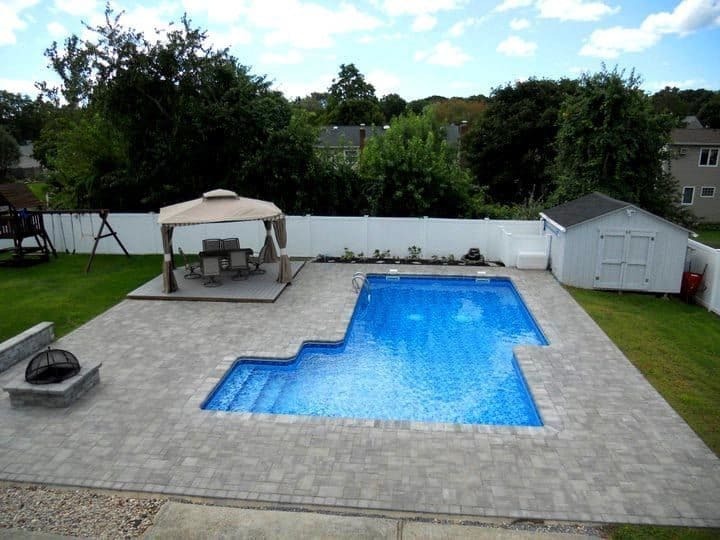 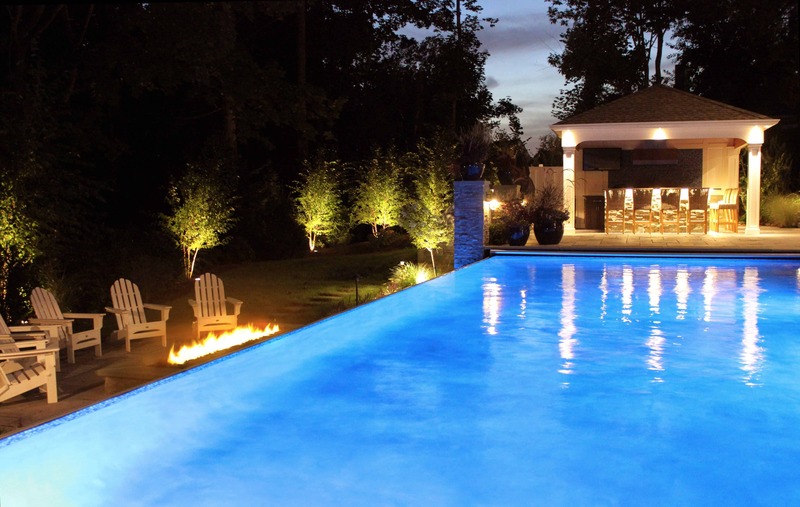 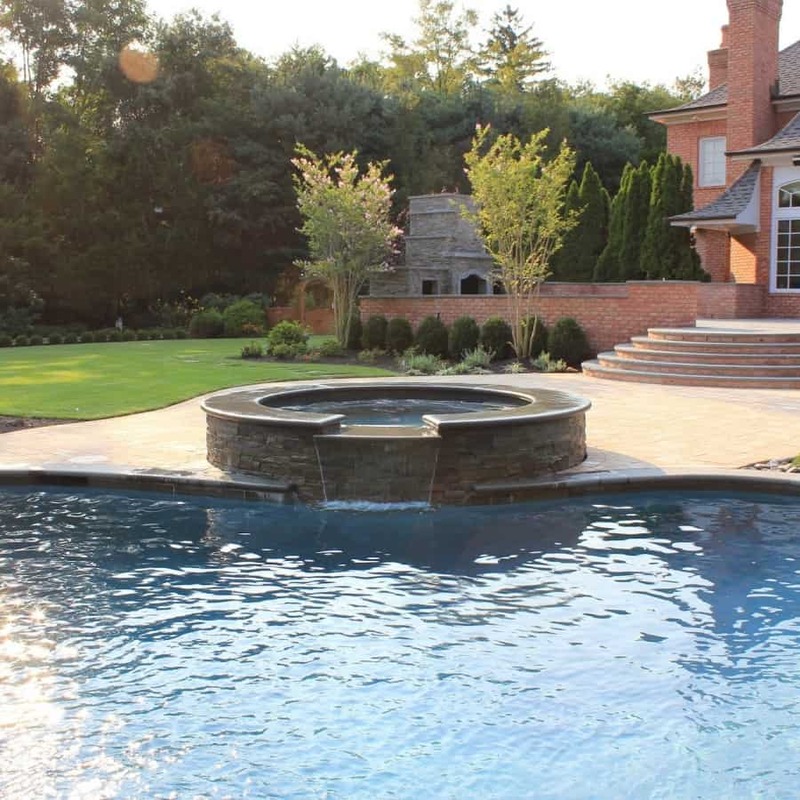 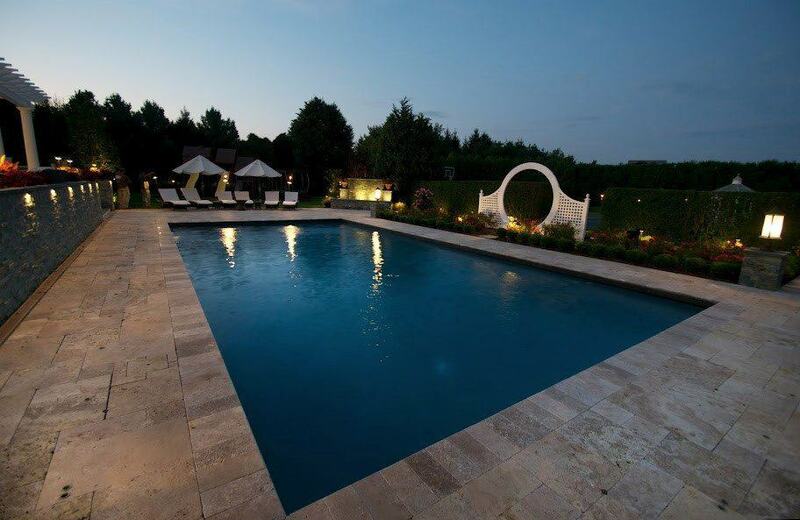 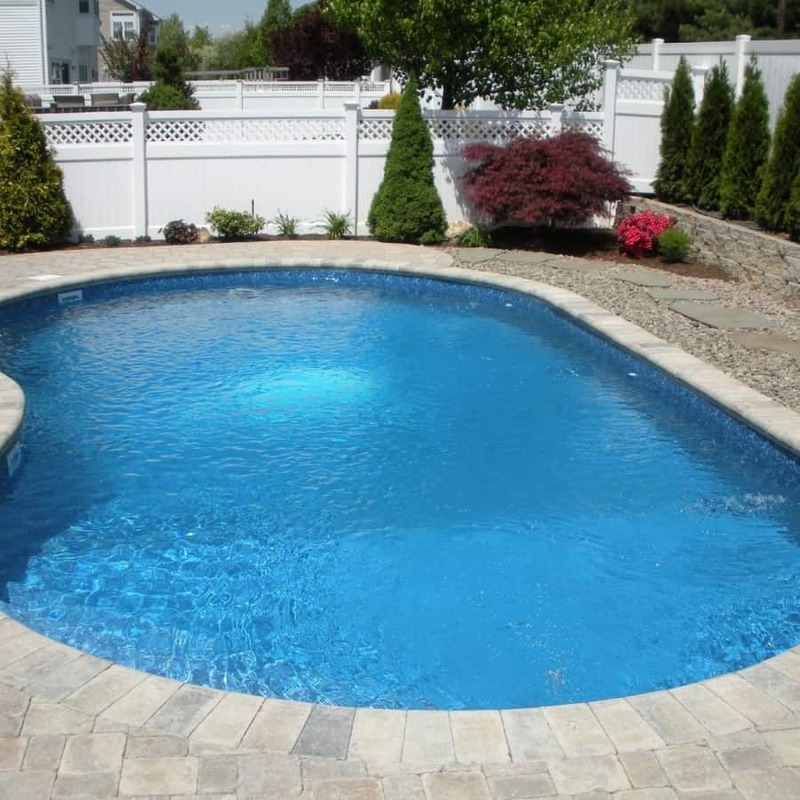 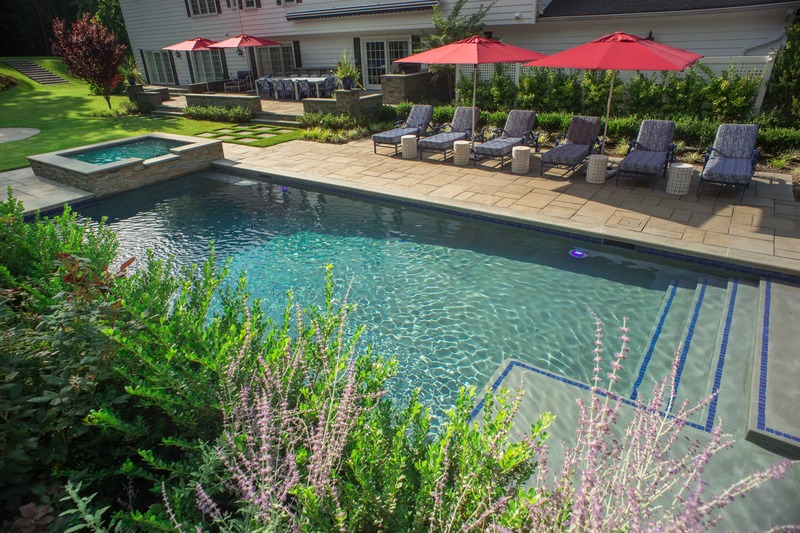 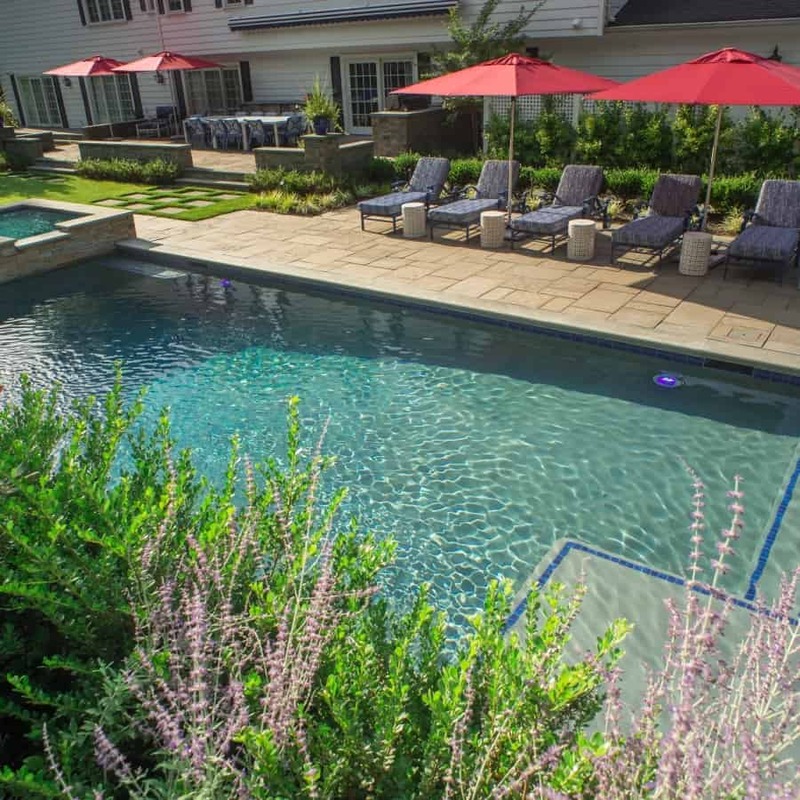 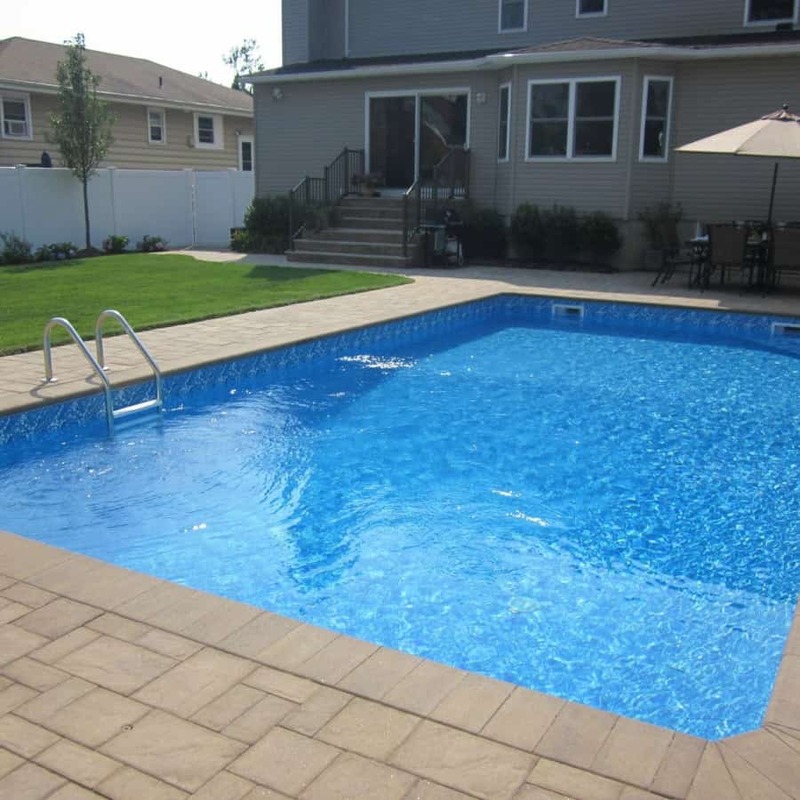 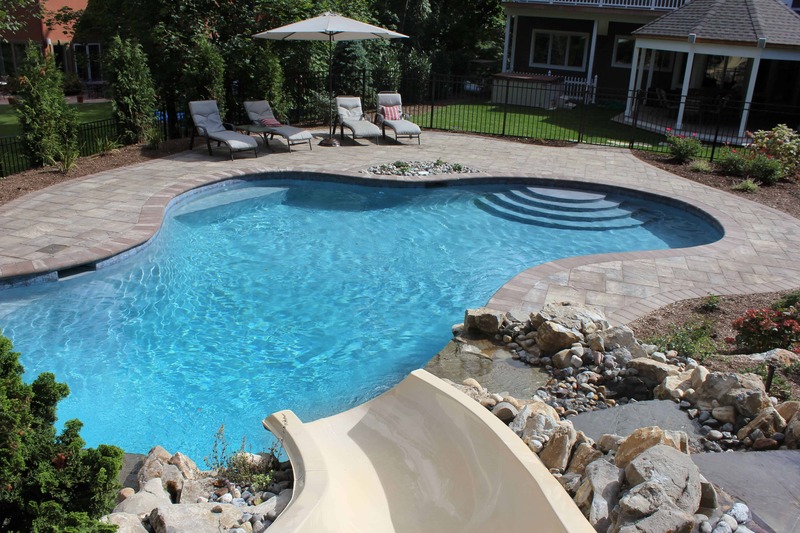 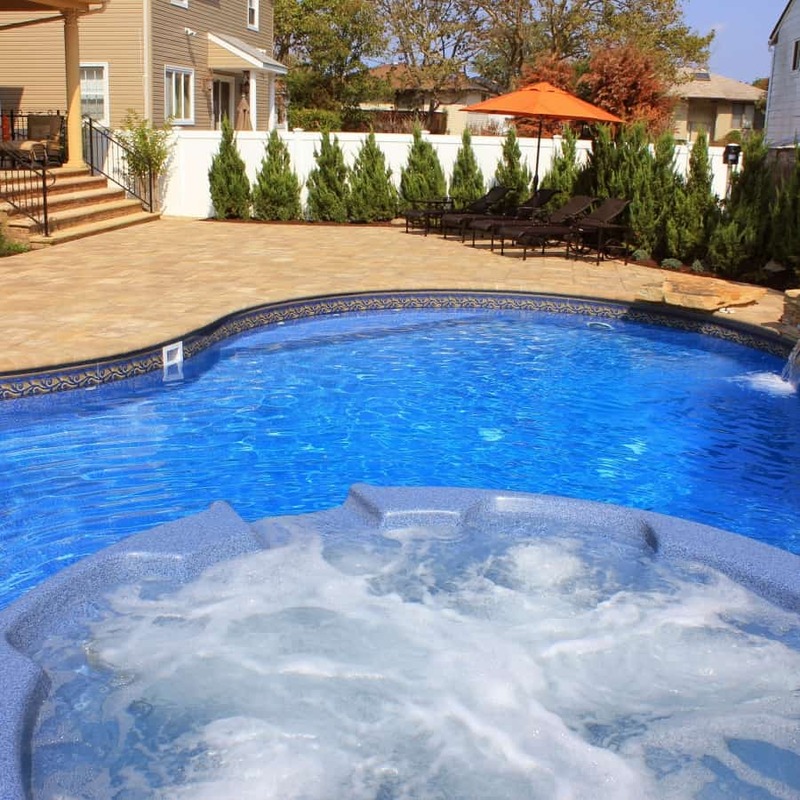 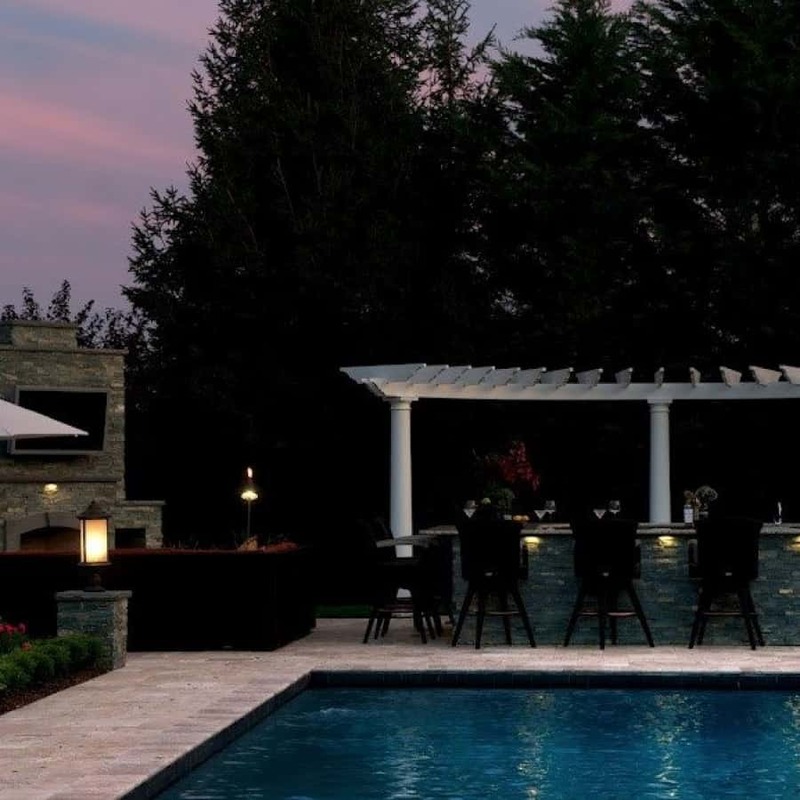 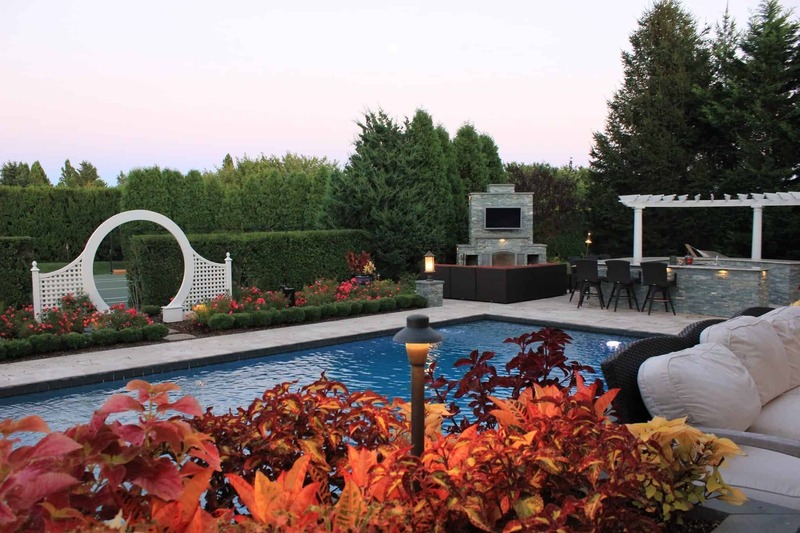 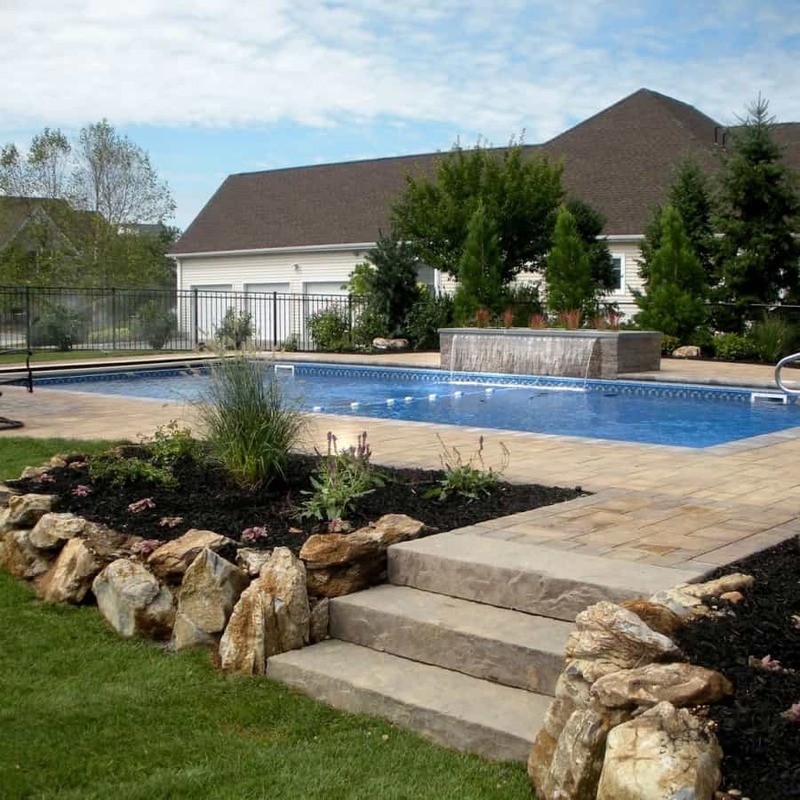 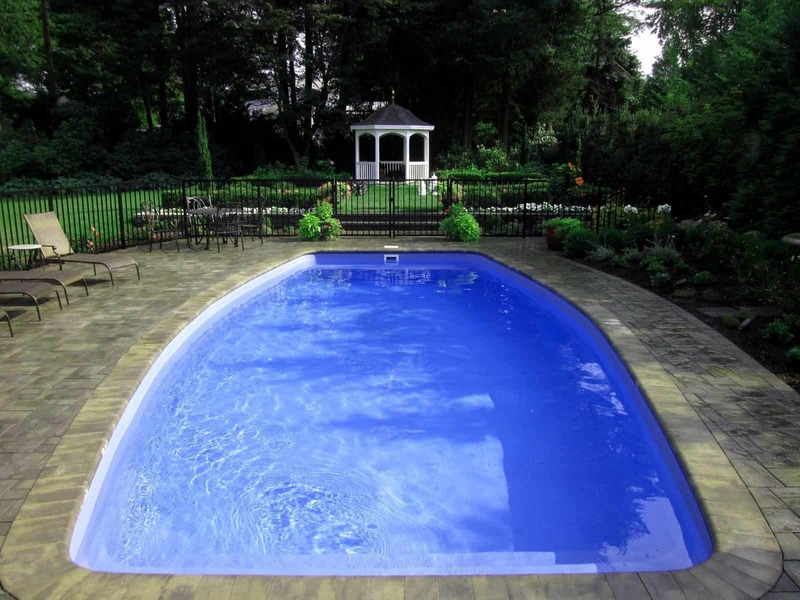 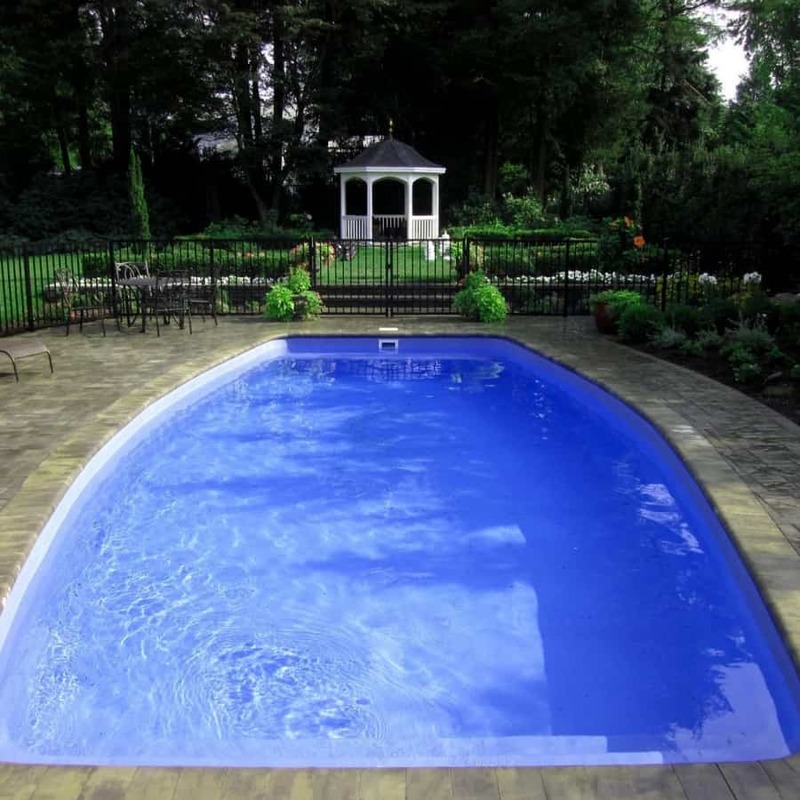 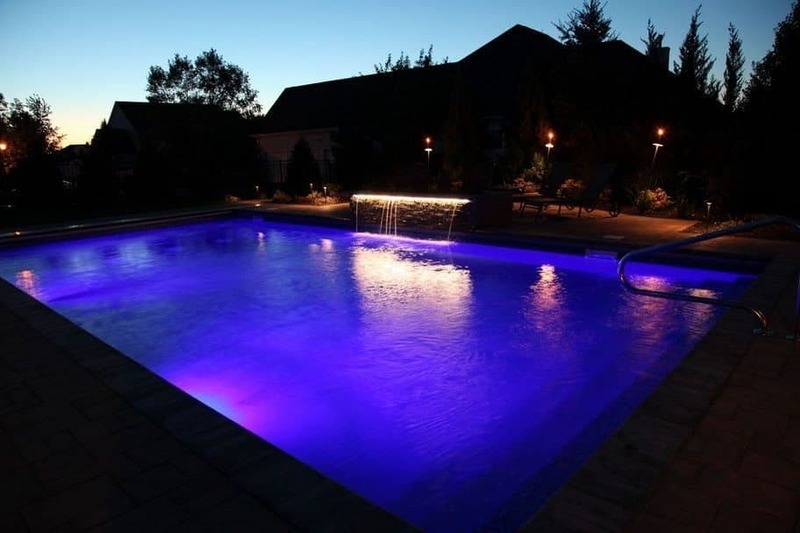 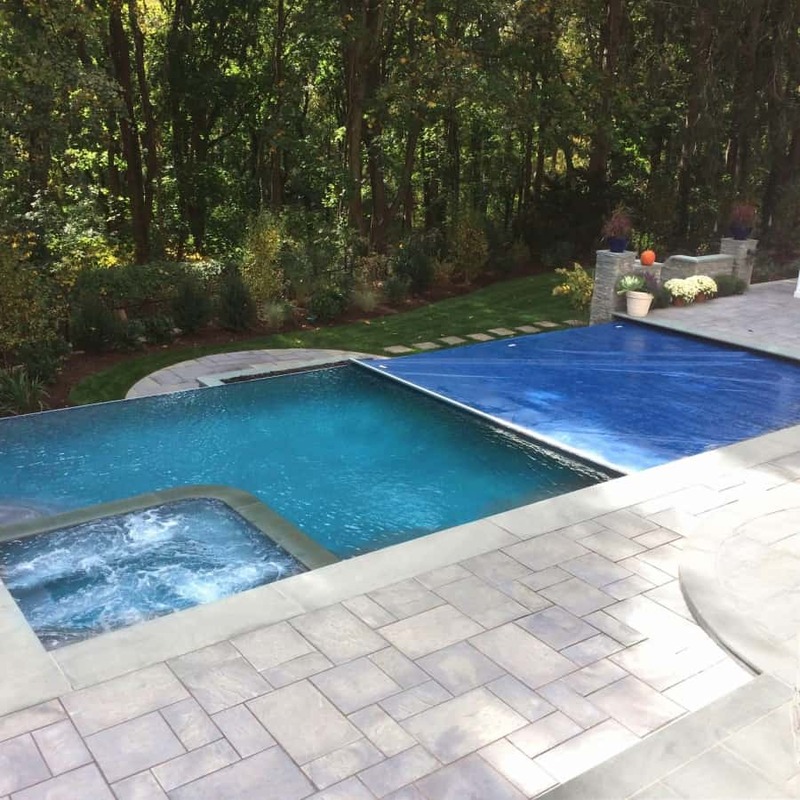 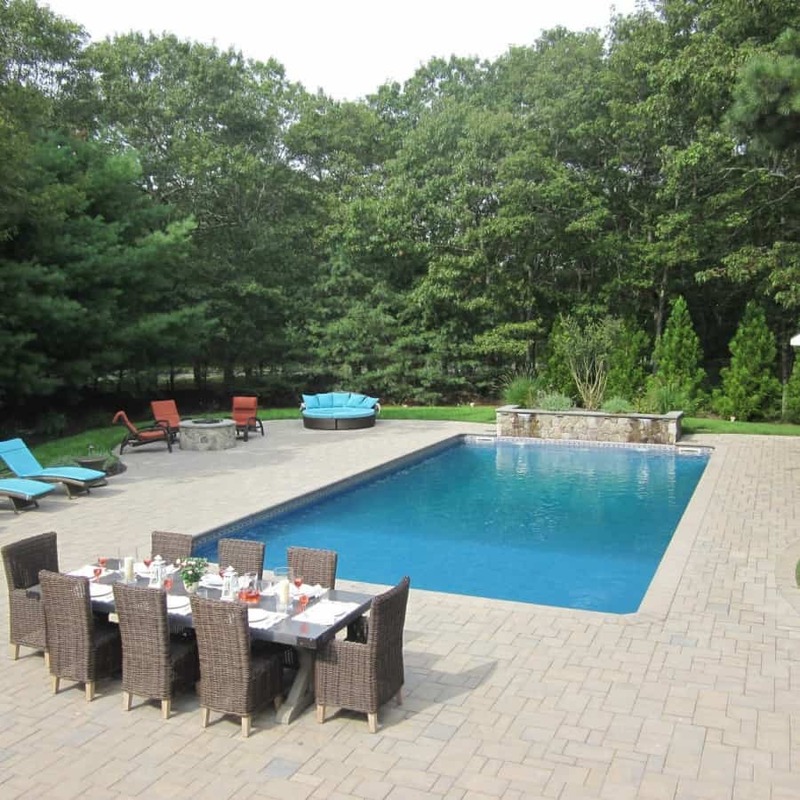 Our custom pool designers and builders use their extensive experience and knowledge in determining the exact type, location, and material used, as well as the most advanced technology available to ensure an experience like no other. 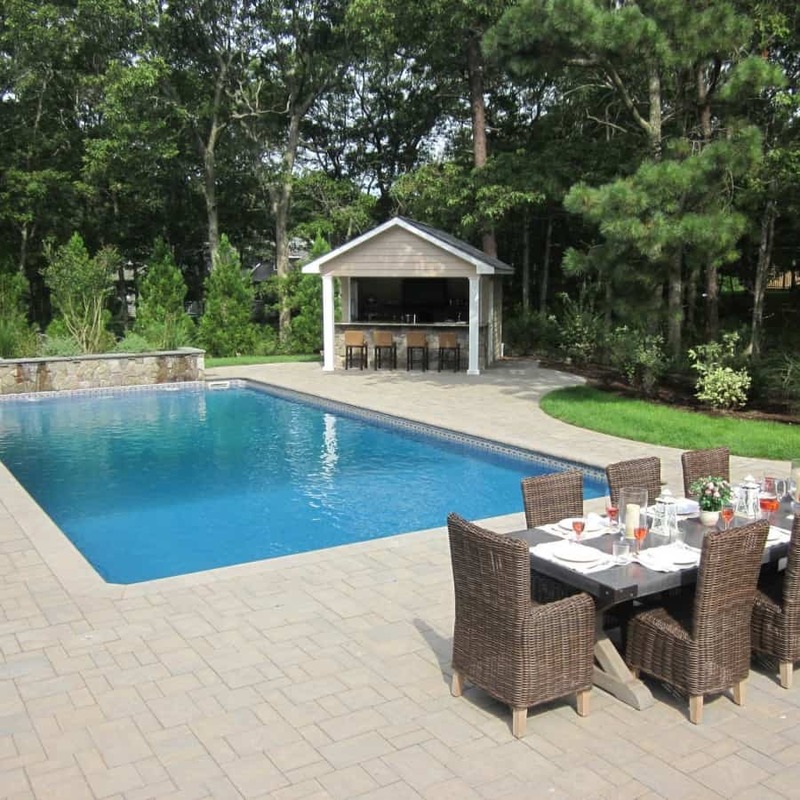 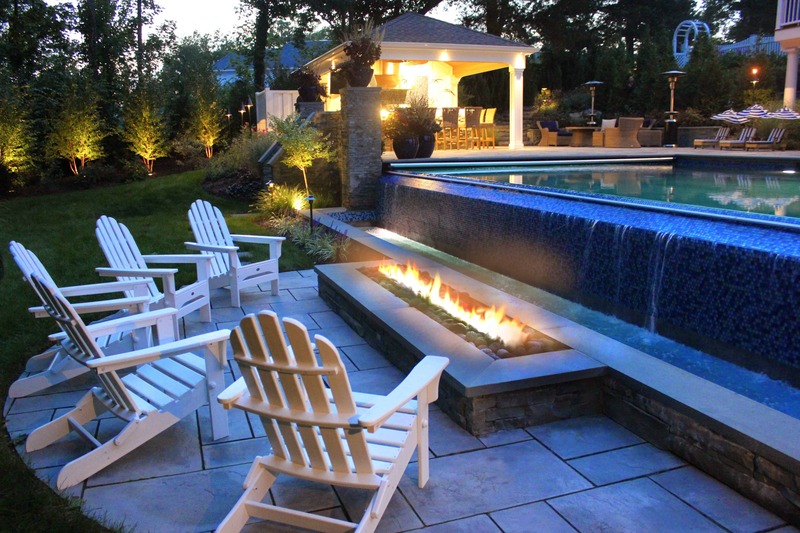 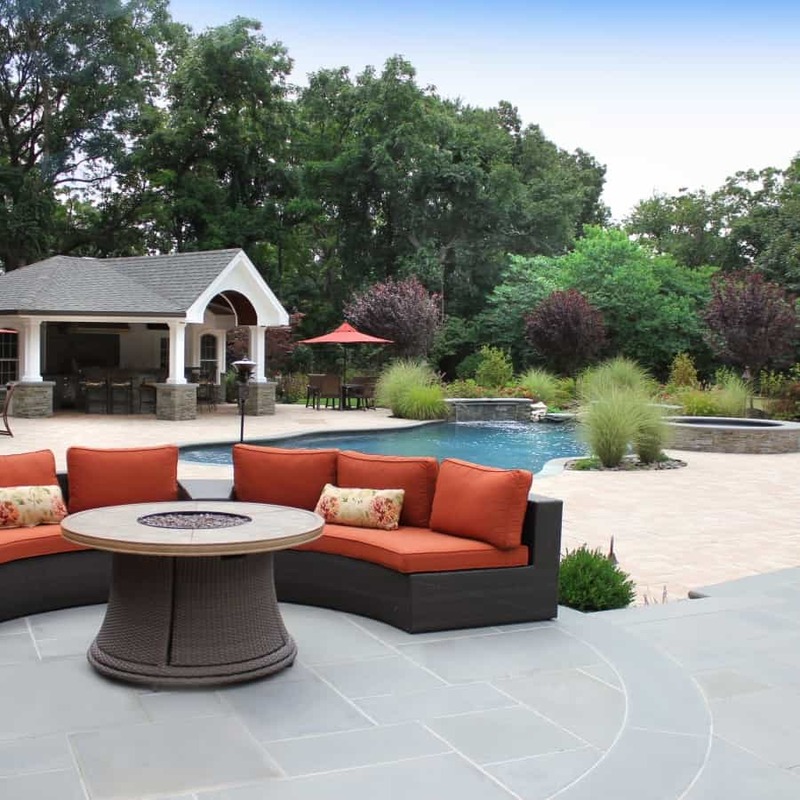 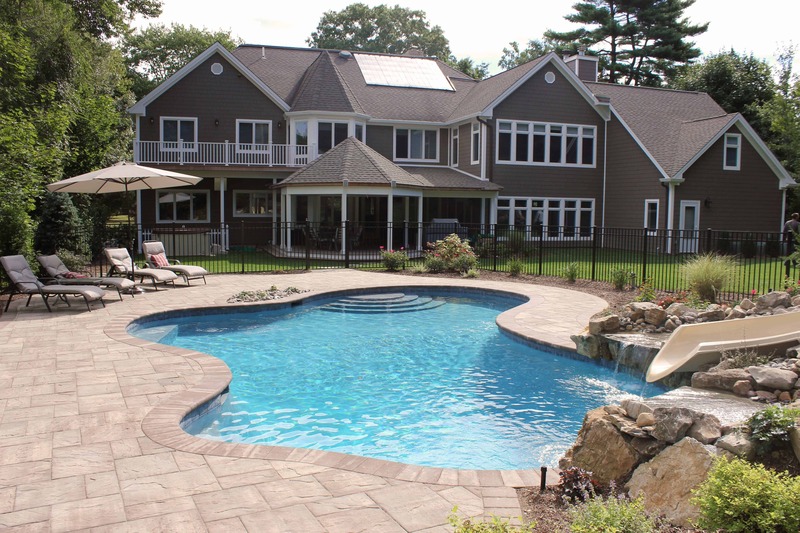 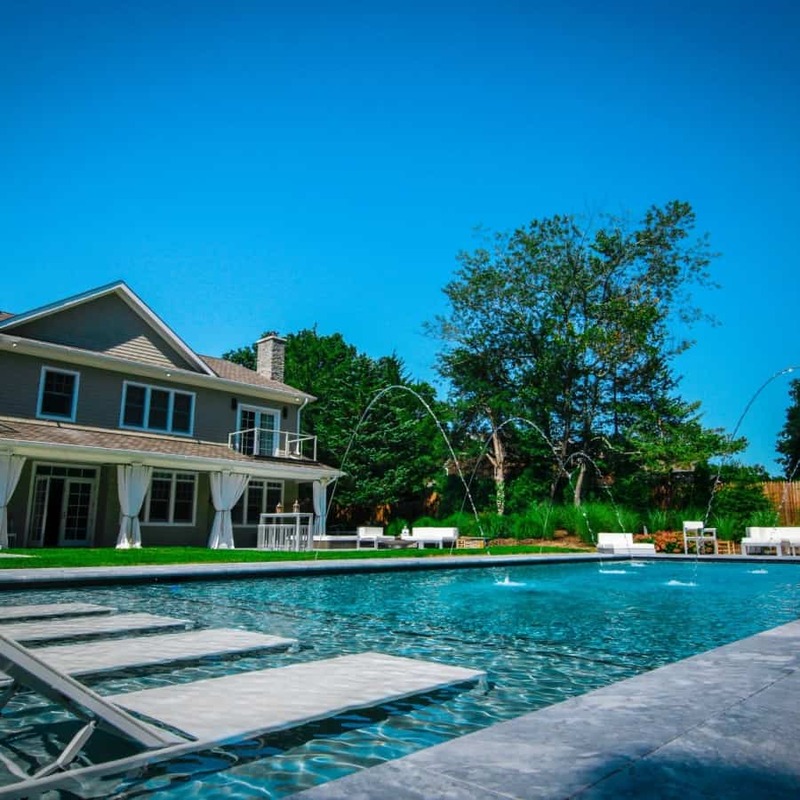 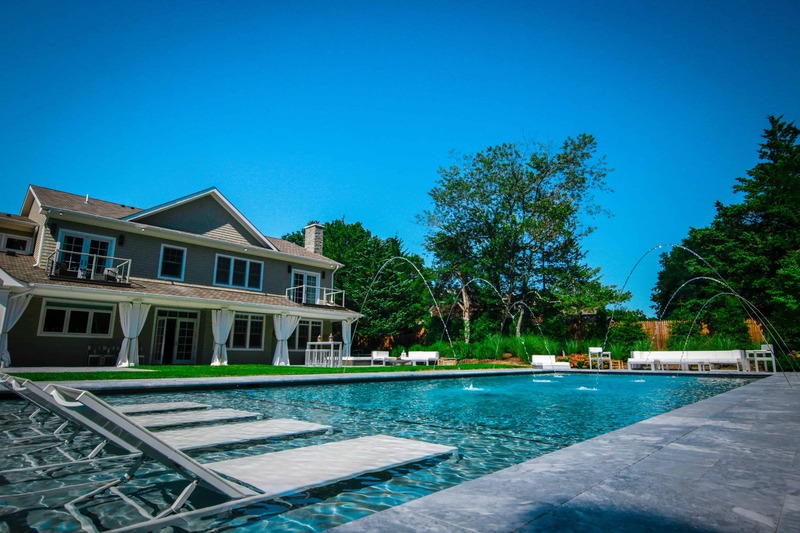 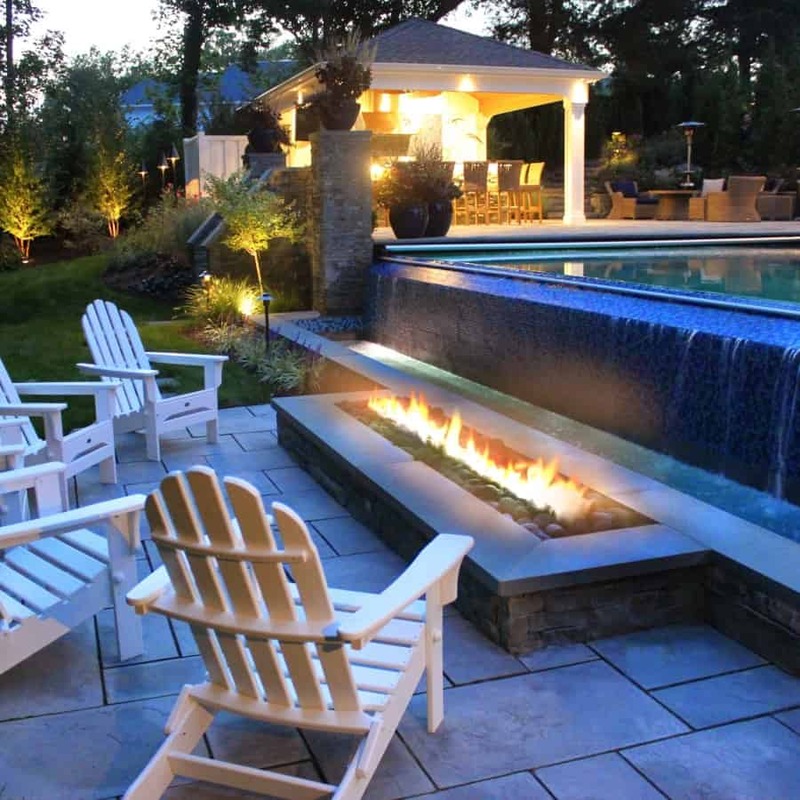 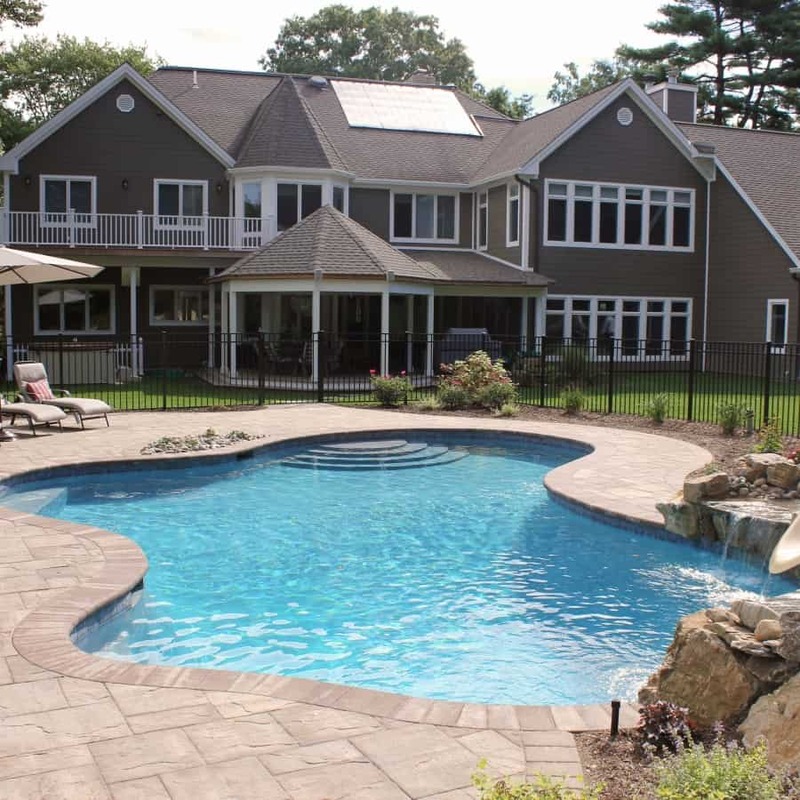 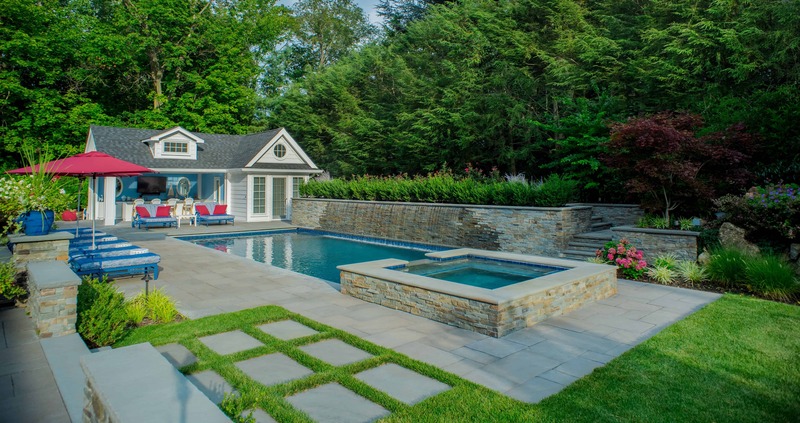 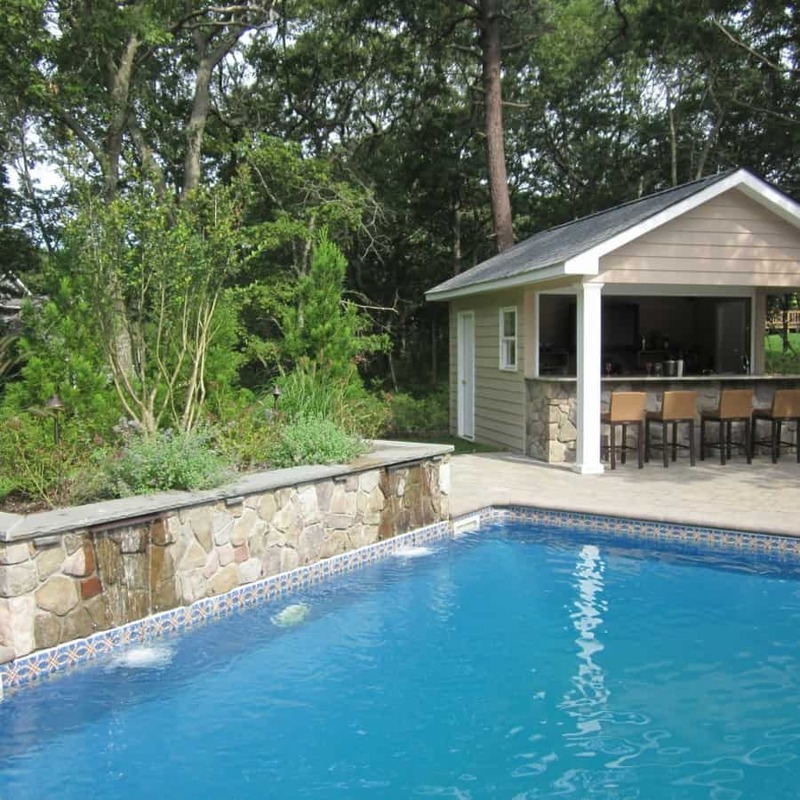 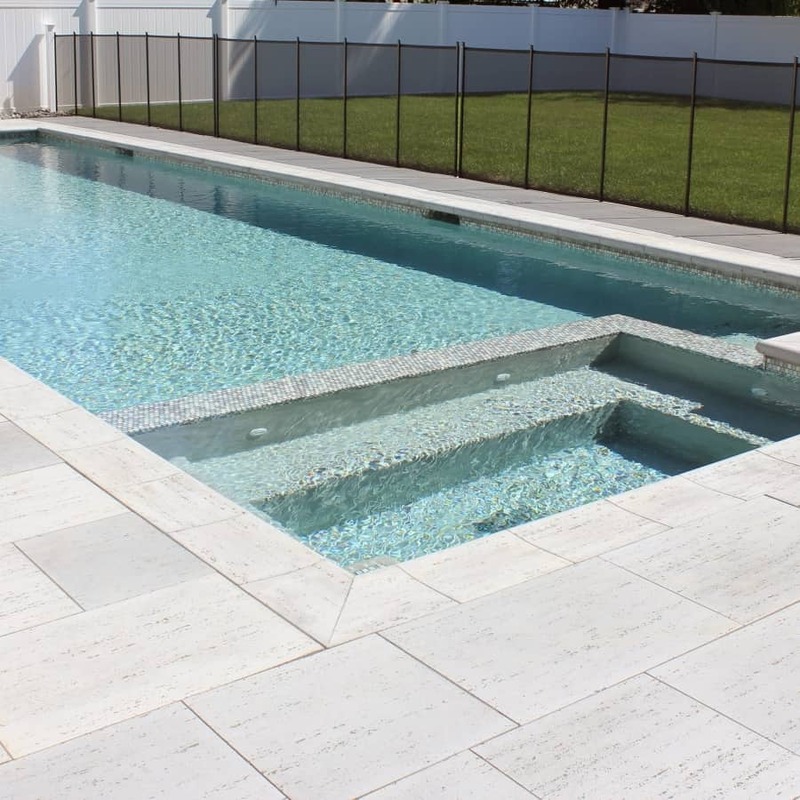 Green Island Design designs and builds all of our custom gunite pools in-house, as well as constructs all of the custom masonry, landscaping and outdoor entertainment features. 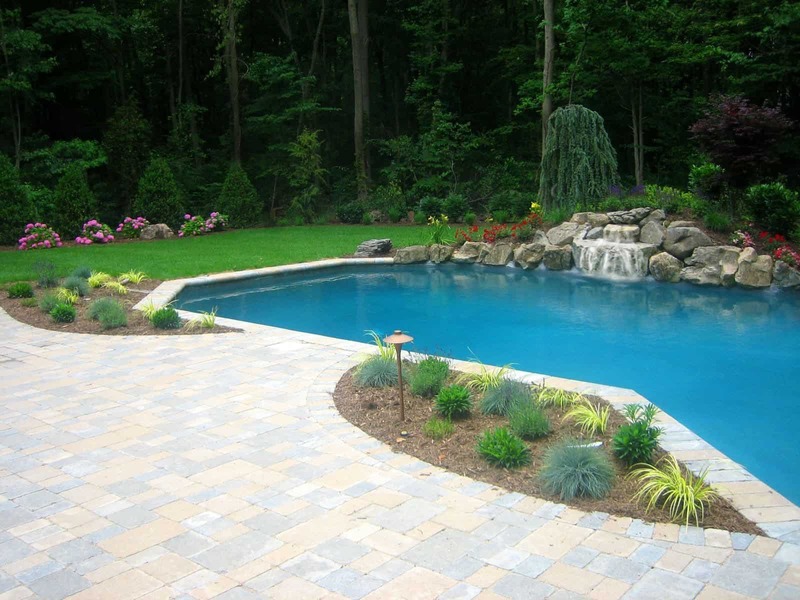 You are not hiring a pool company, then hiring a mason, then a landscaper. 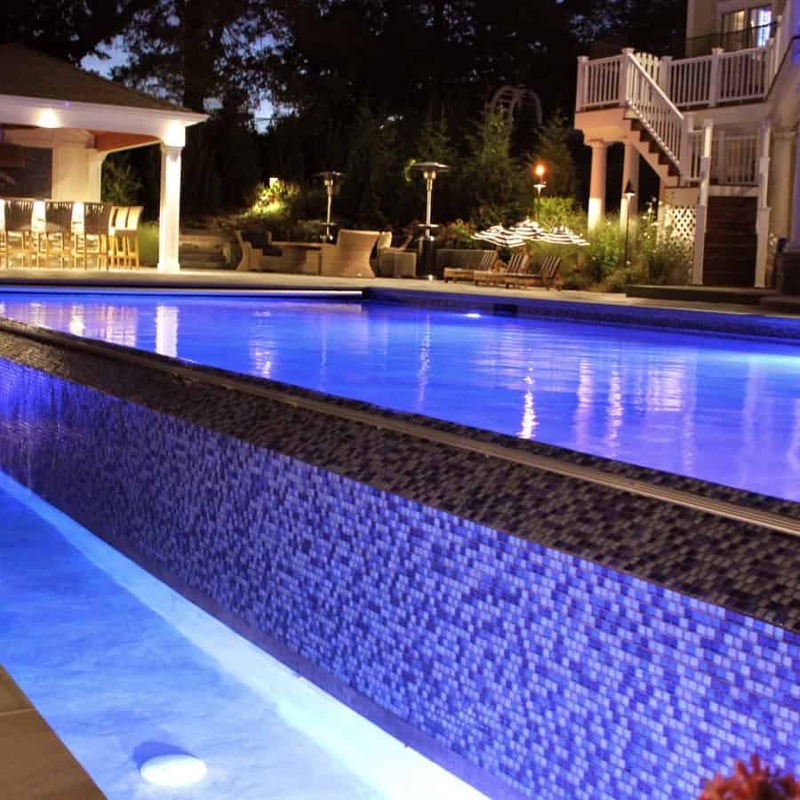 You will be dealing with one company who has the design and build experience to take you from start to completion in every aspect of the project. 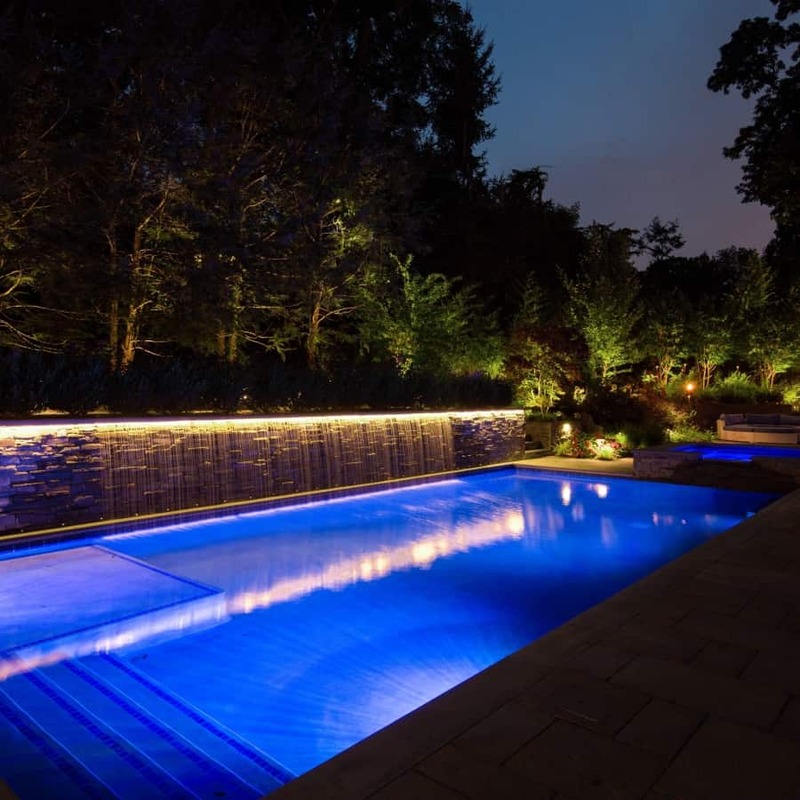 There is no way better to ensure your custom pool and landscape design experience will seamlessly blend together just as you had envisioned. 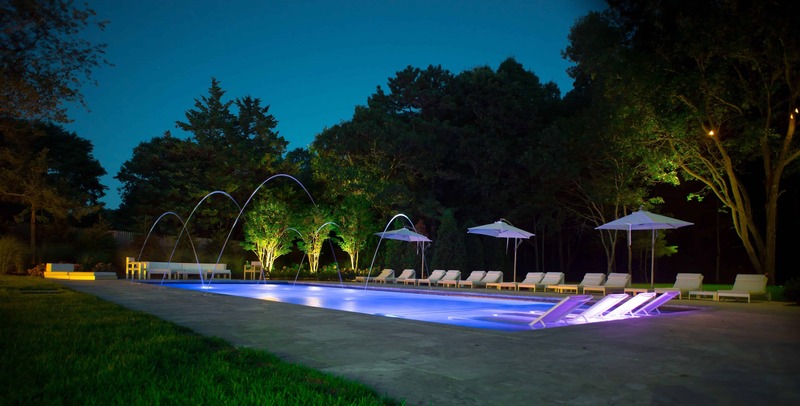 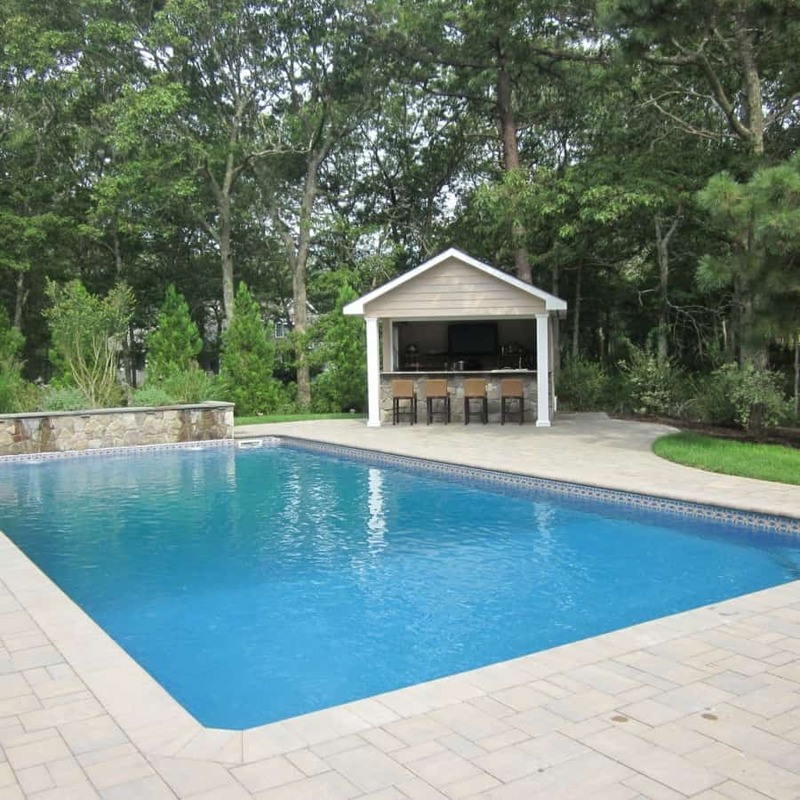 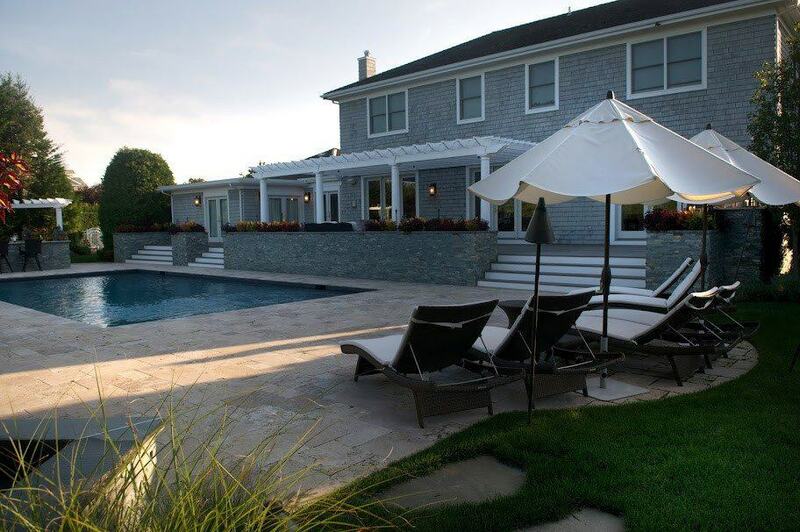 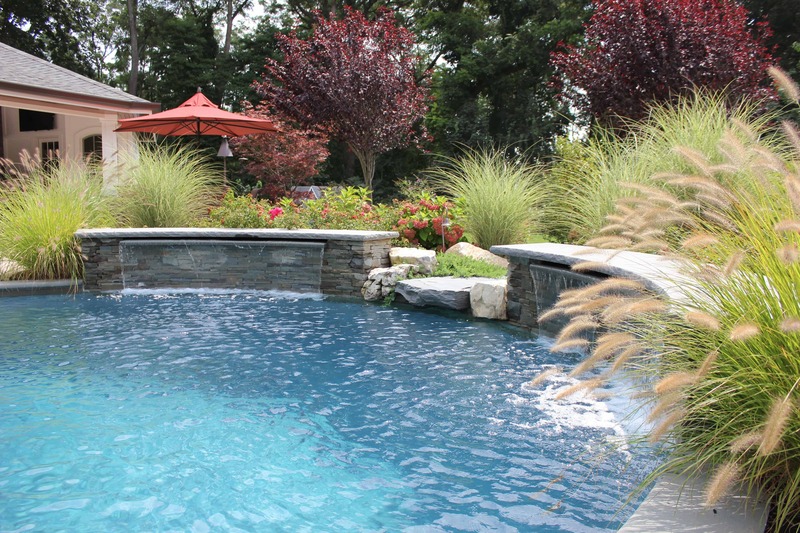 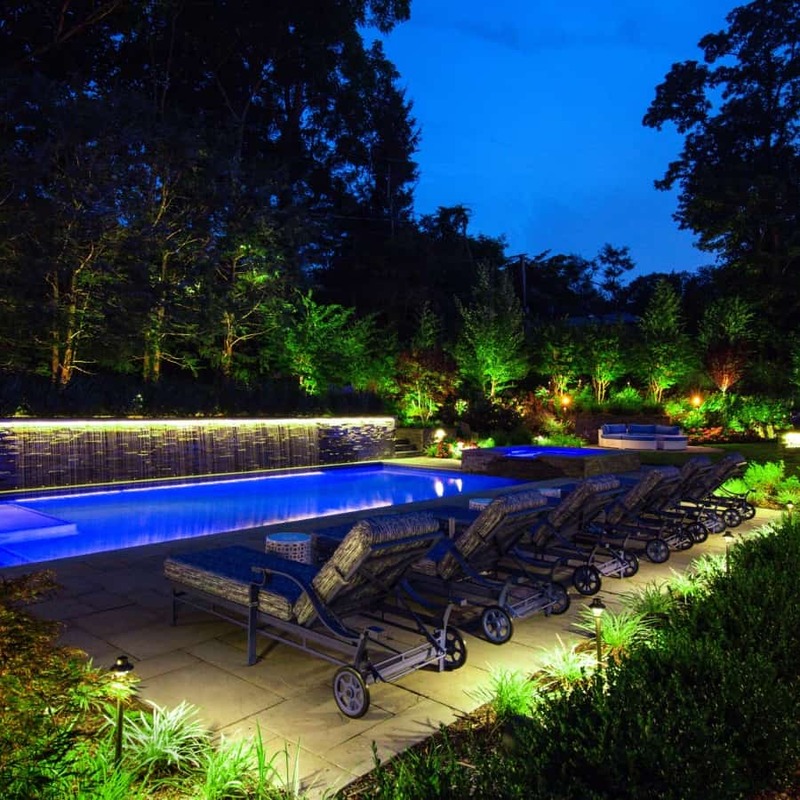 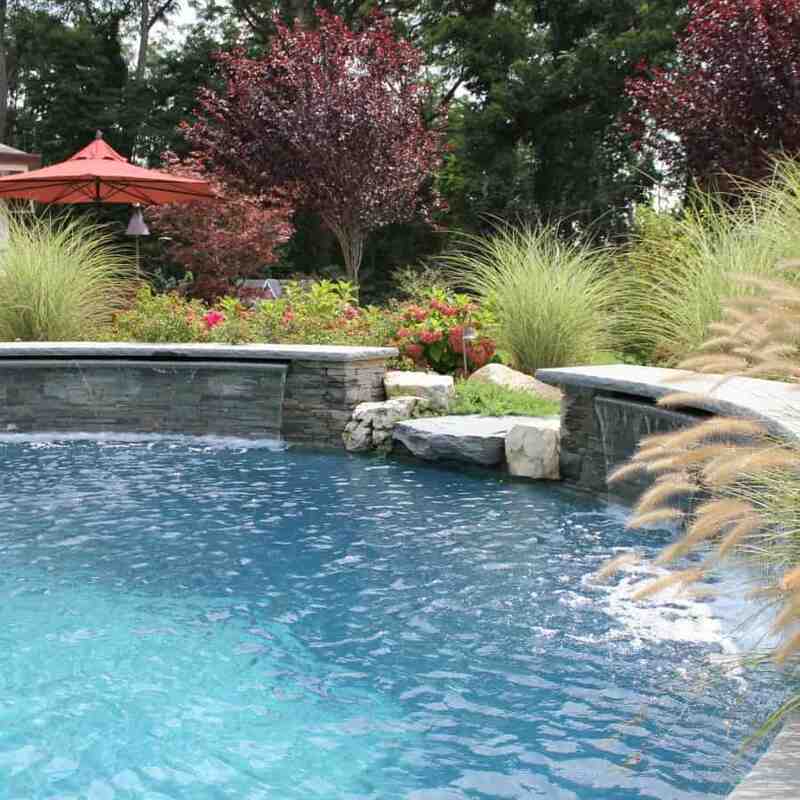 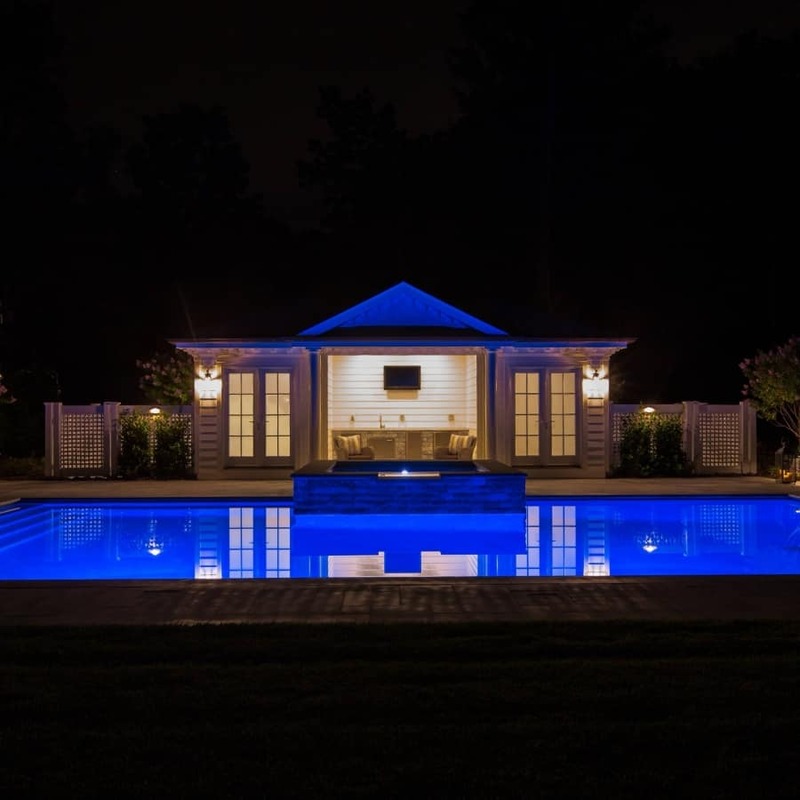 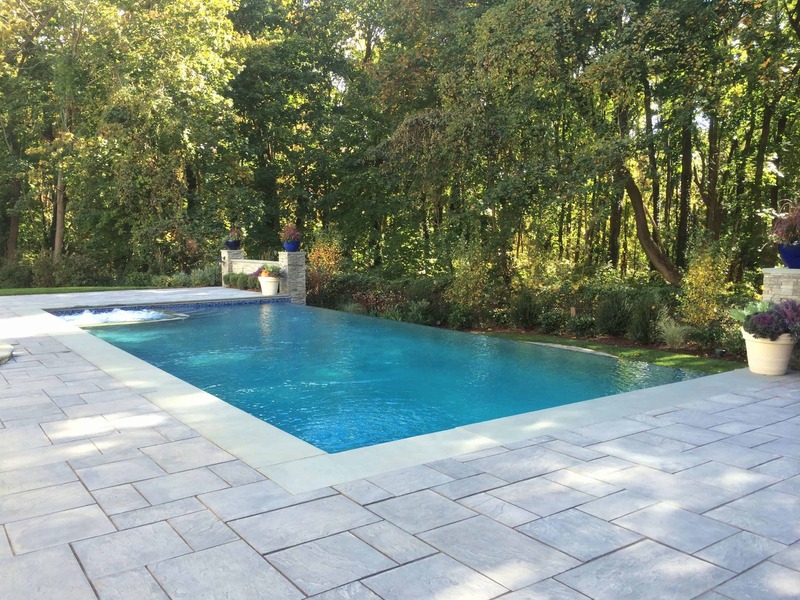 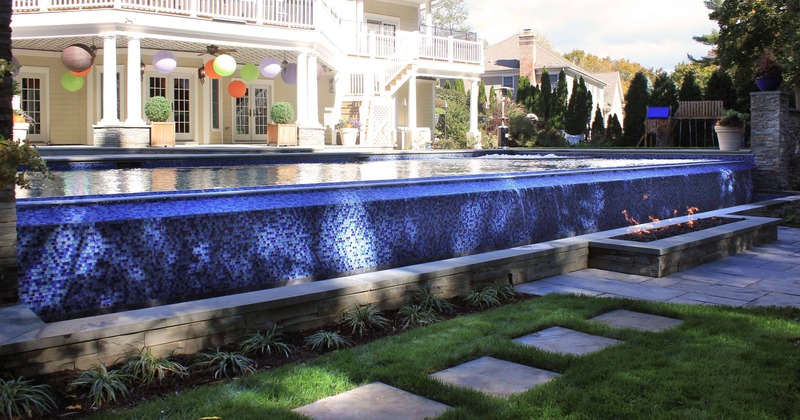 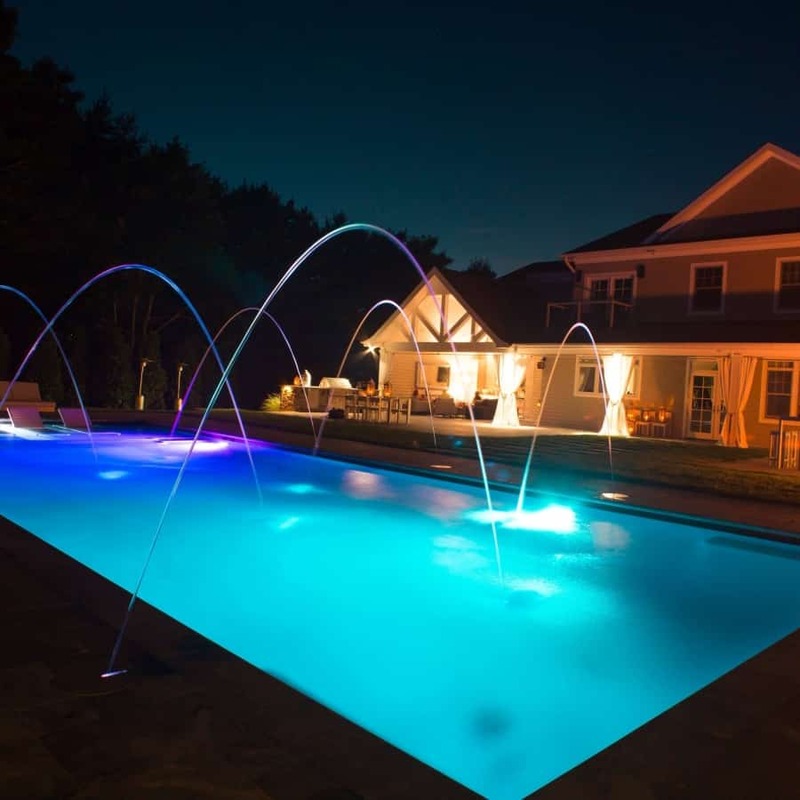 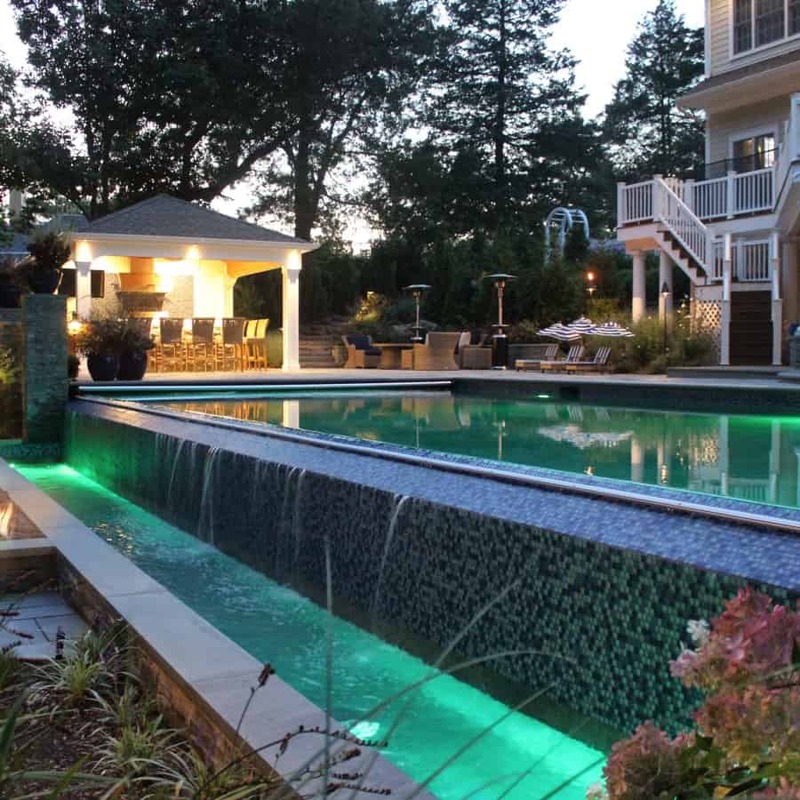 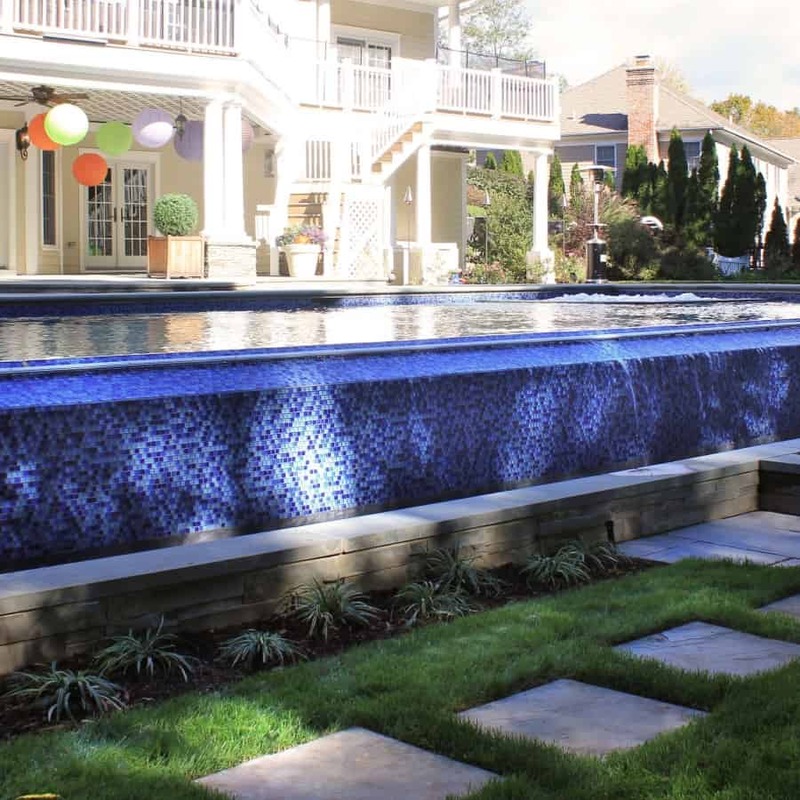 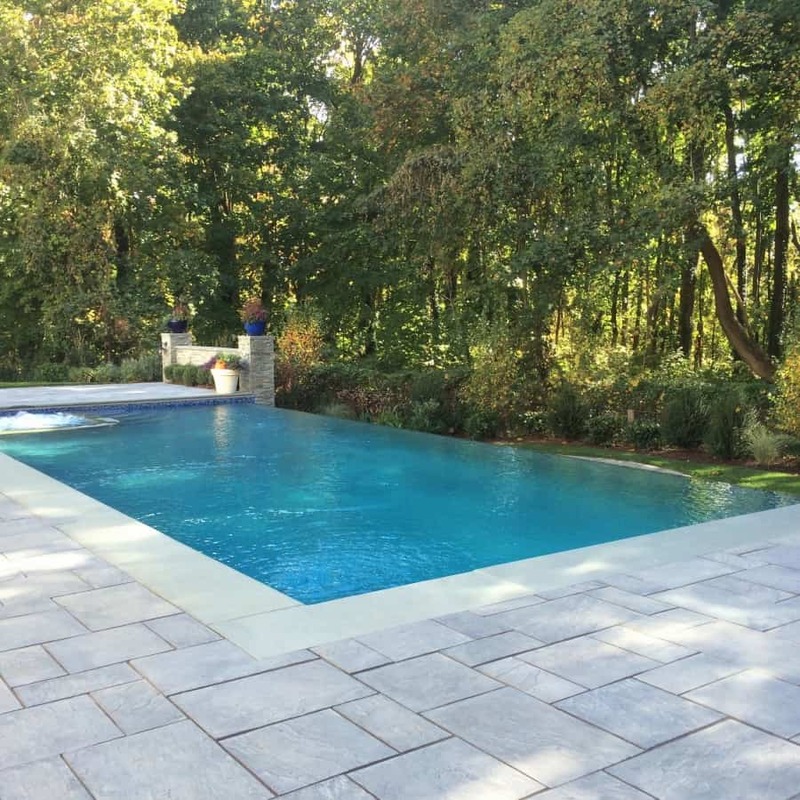 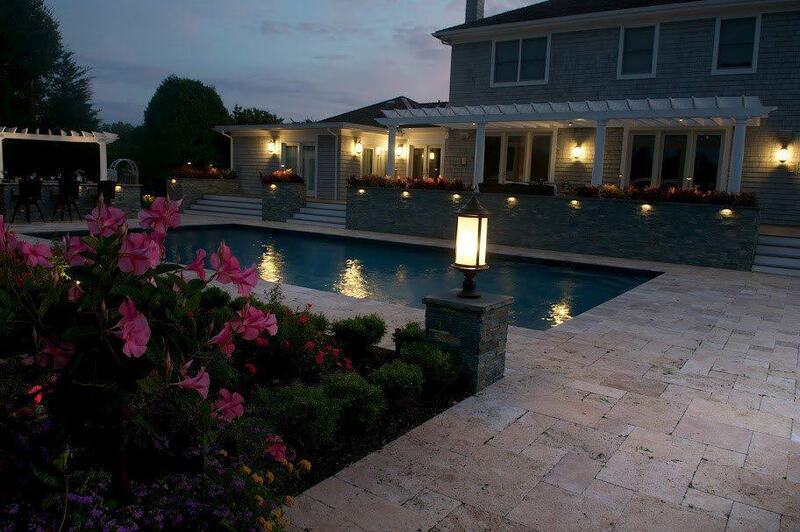 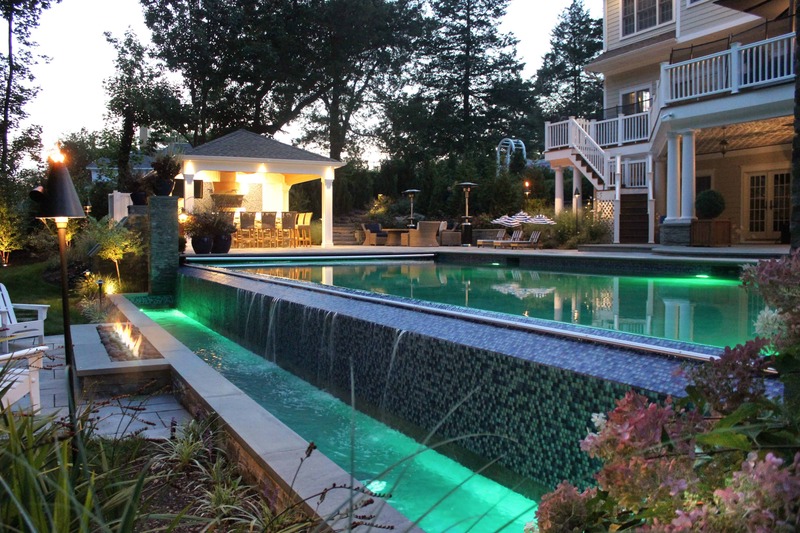 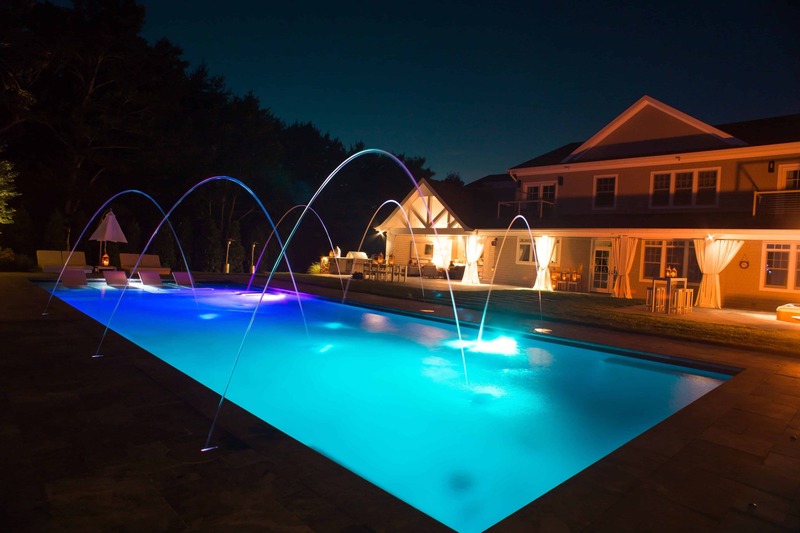 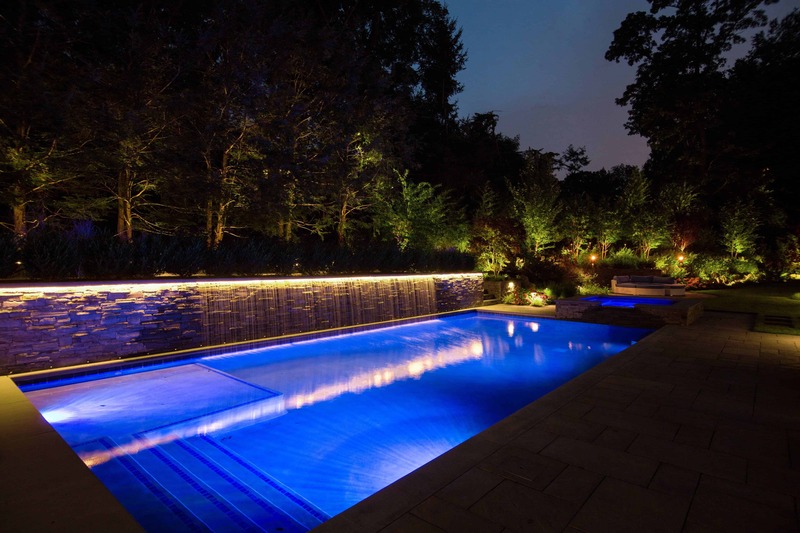 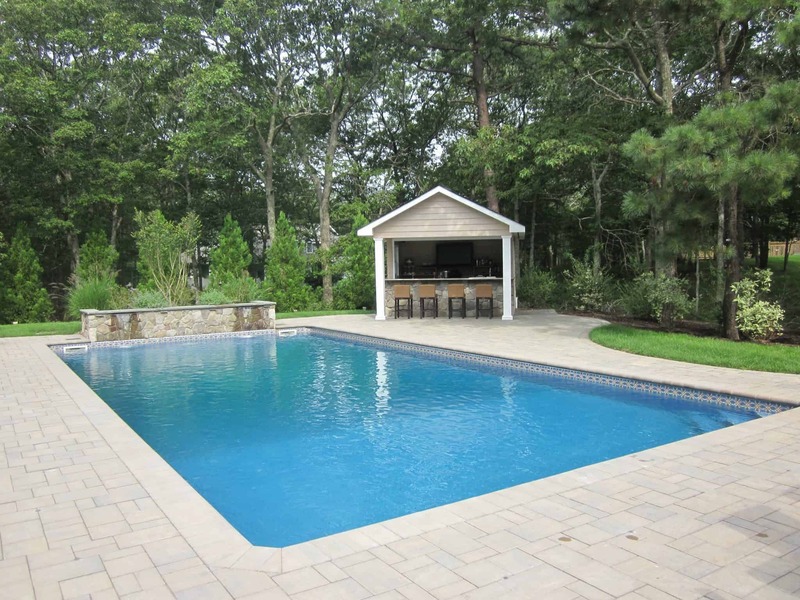 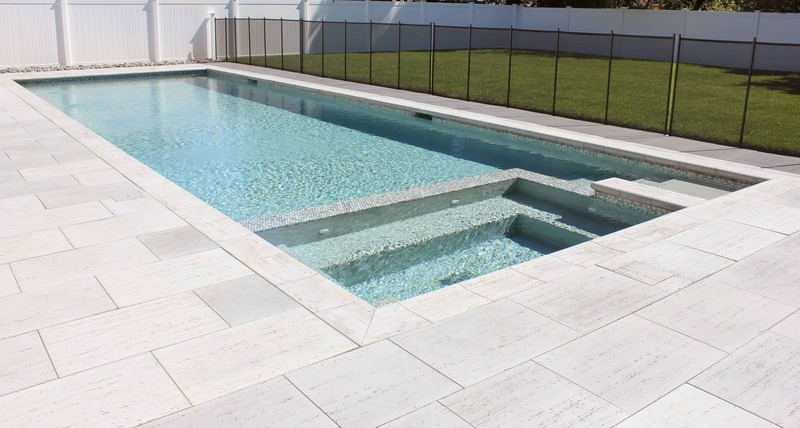 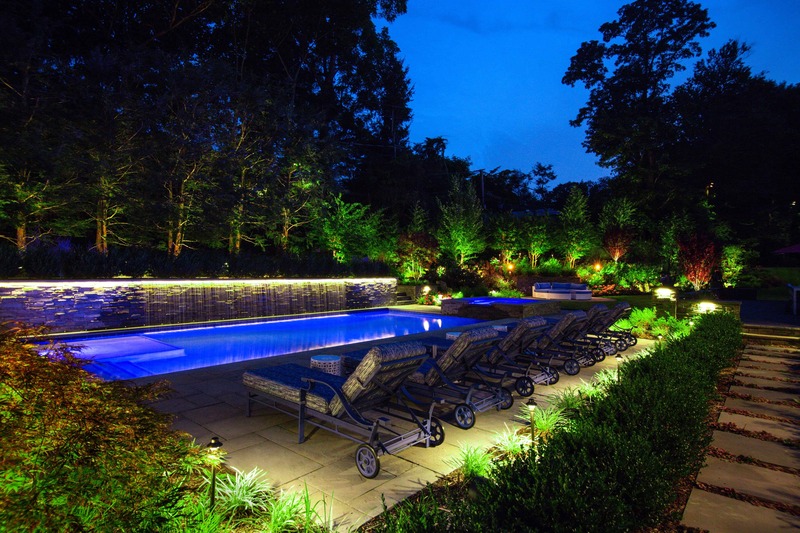 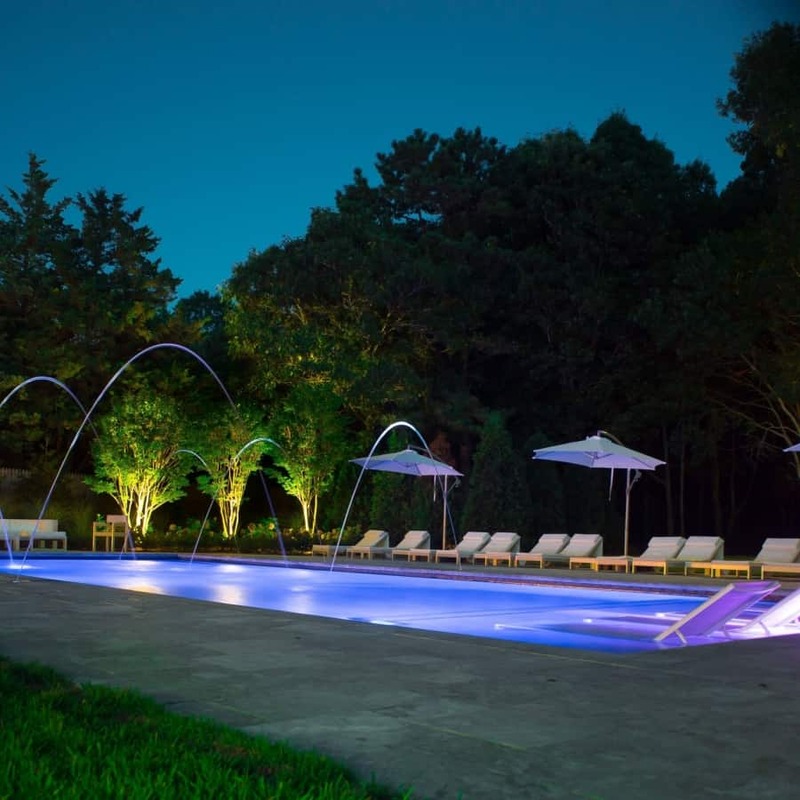 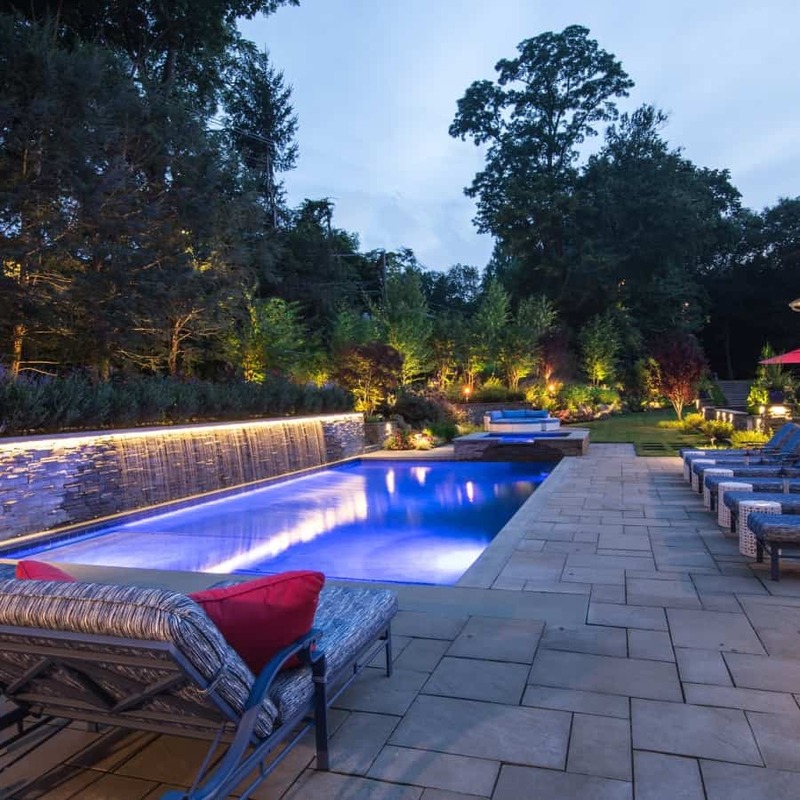 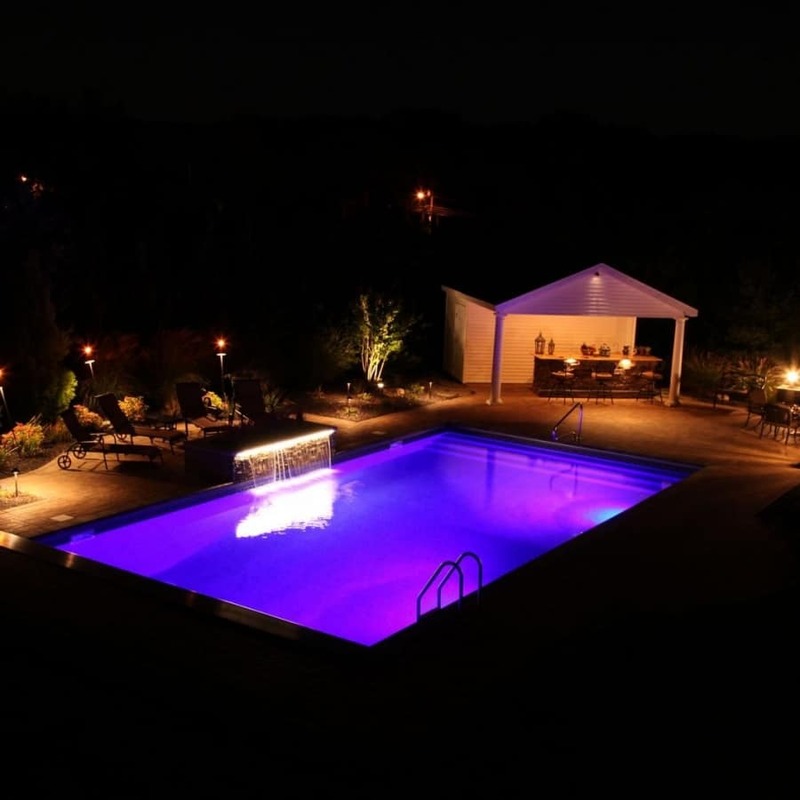 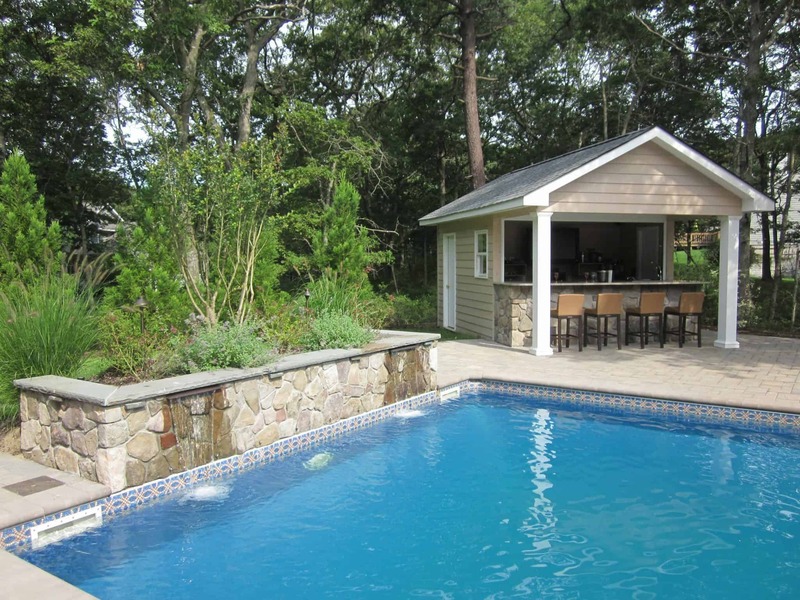 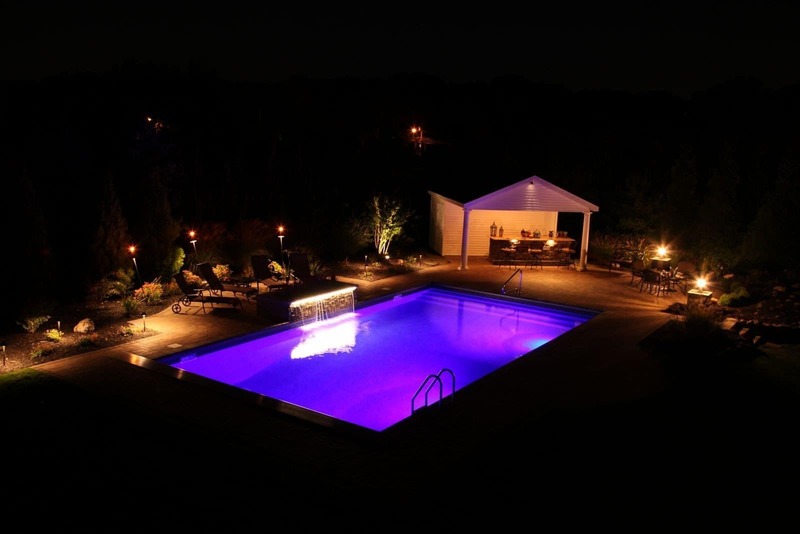 In addition to our signature custom Gunite Pools, Green Island Design also has the expertise and flexibility to design and install all types of steel wall, or vinyl pools and spas. 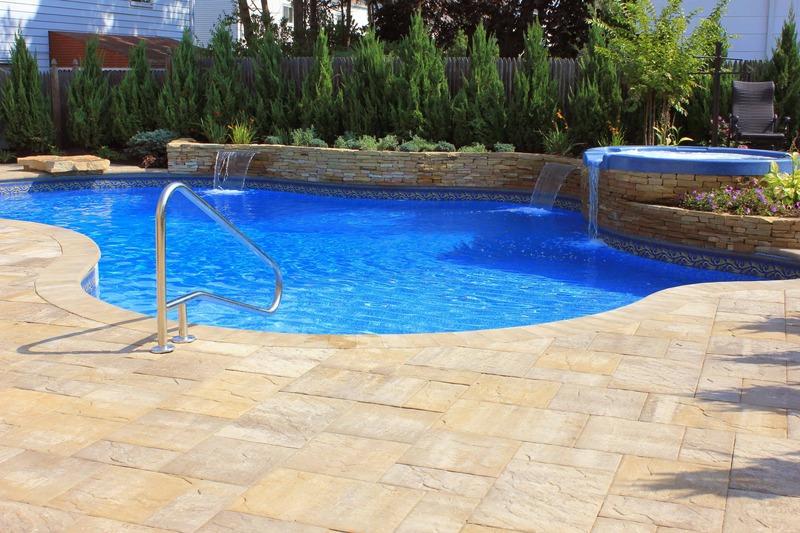 These types of pools have many of the same features and work well in the appropriate setting. 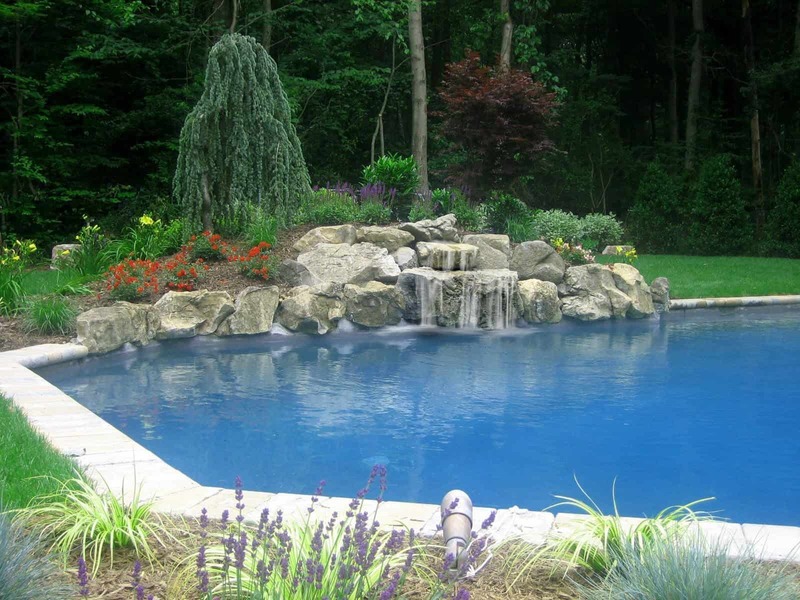 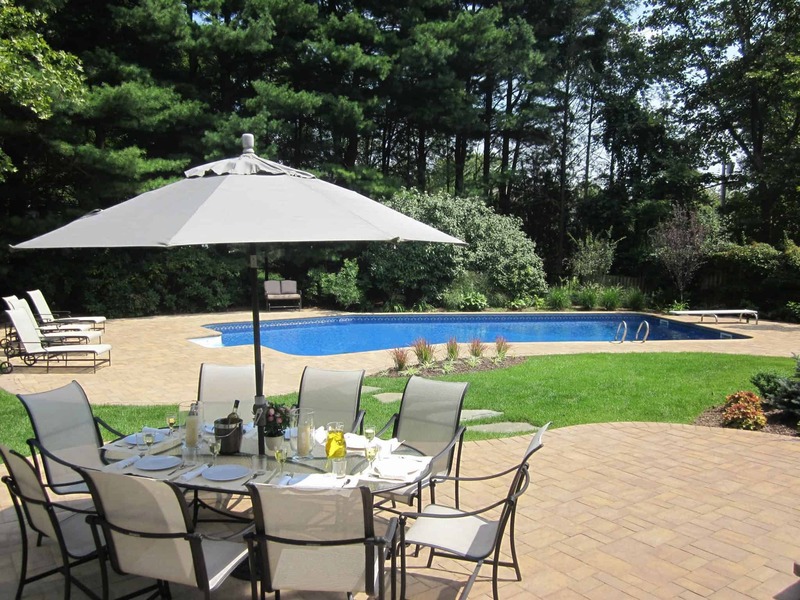 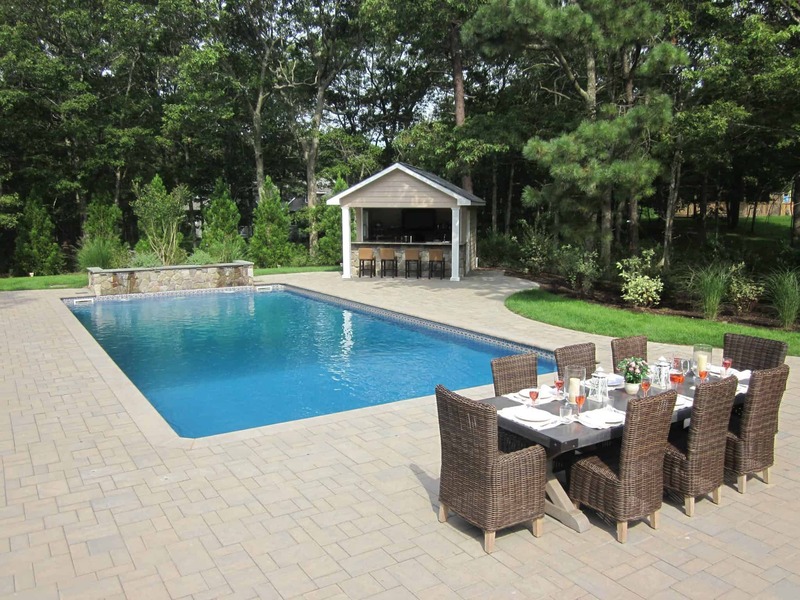 Our landscape designers will educate you on the benefits and differences of all pools when discussing what is best for your family and lifestyle. 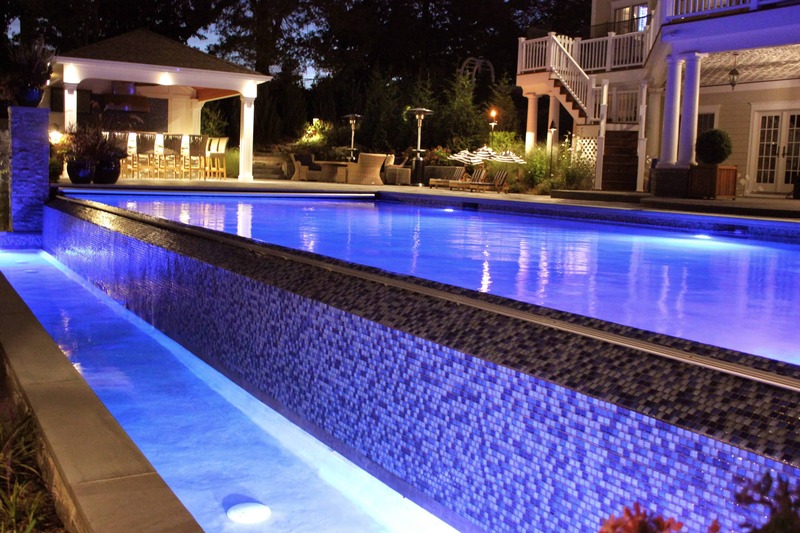 Contact us for a Free Design Consultation!